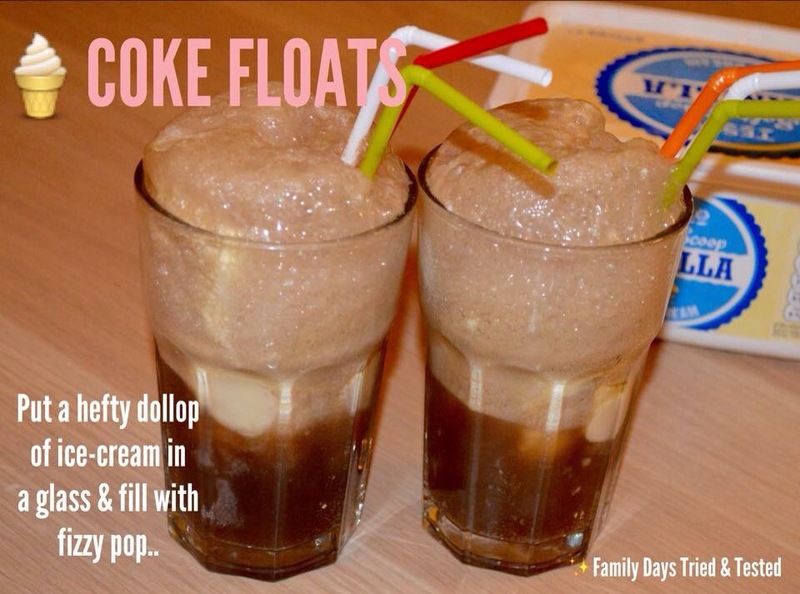 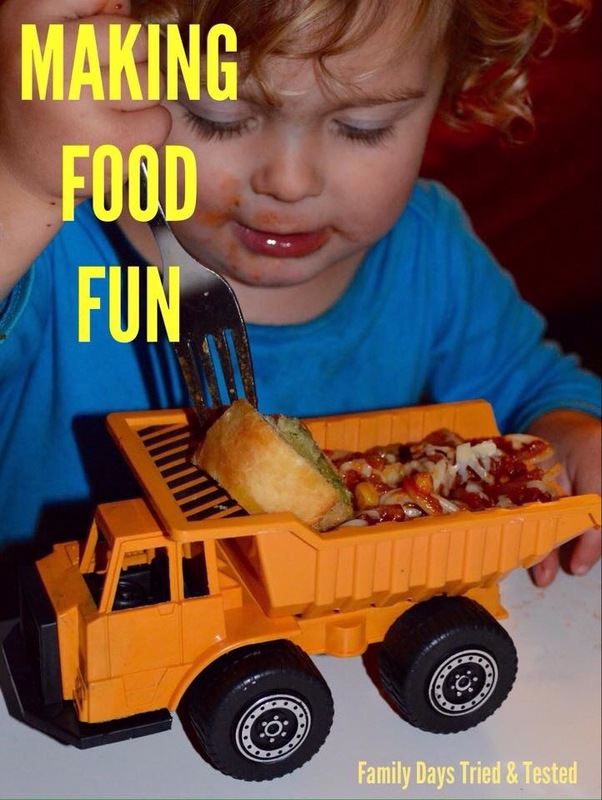 Here’s some fun ways to enjoy food! 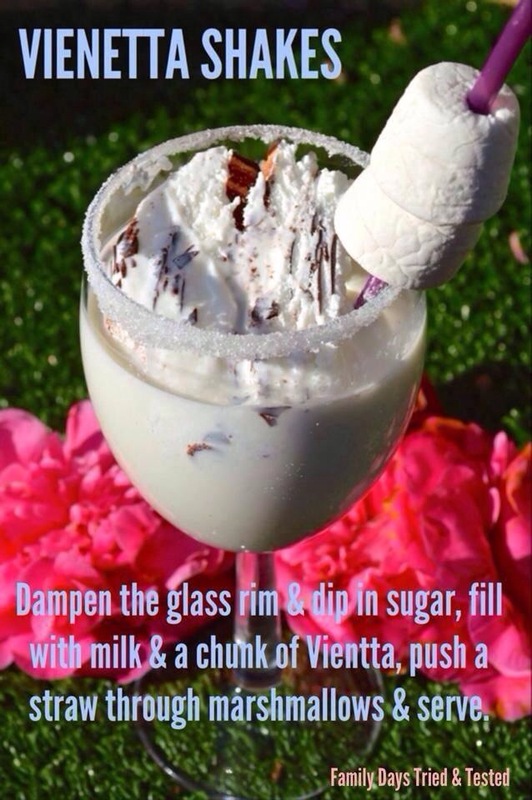 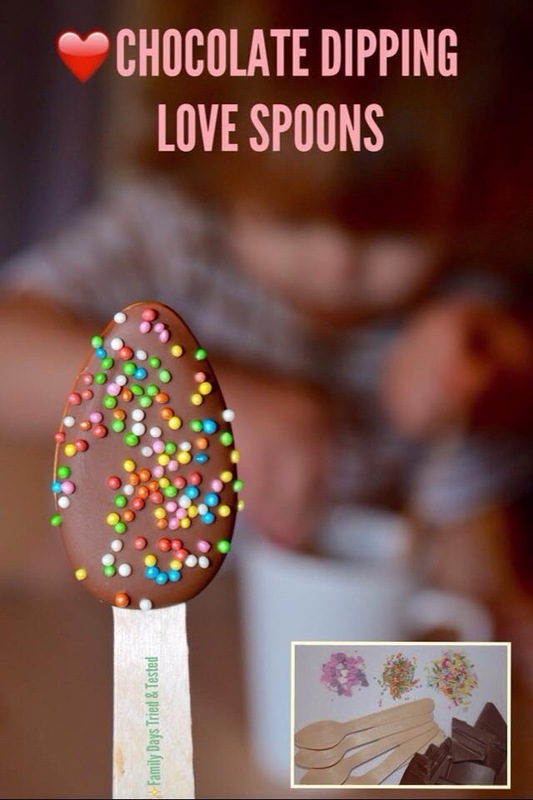 Dip spoons in melted chocolate and add sprinkles, leave to cool and then enjoy with hot chocolate. 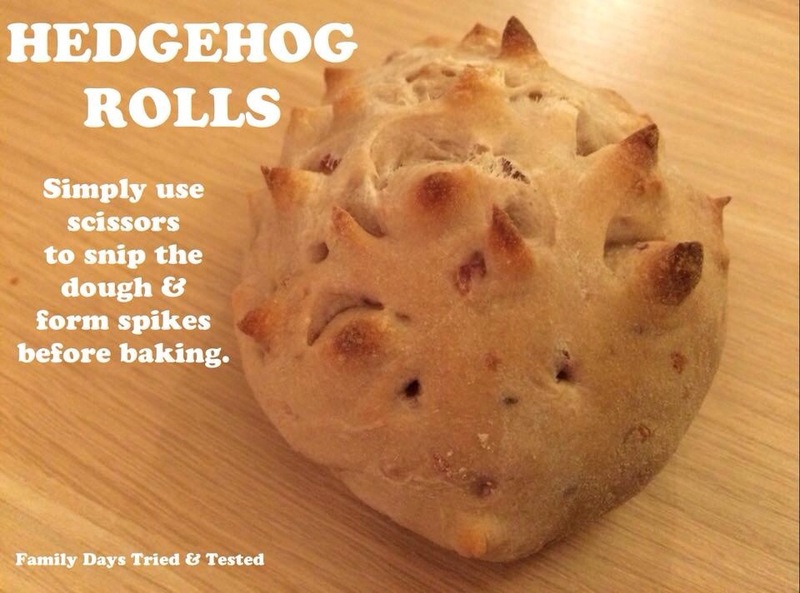 Make some hedgehog bread rolls. 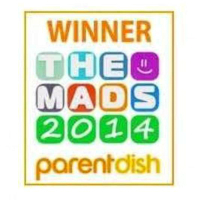 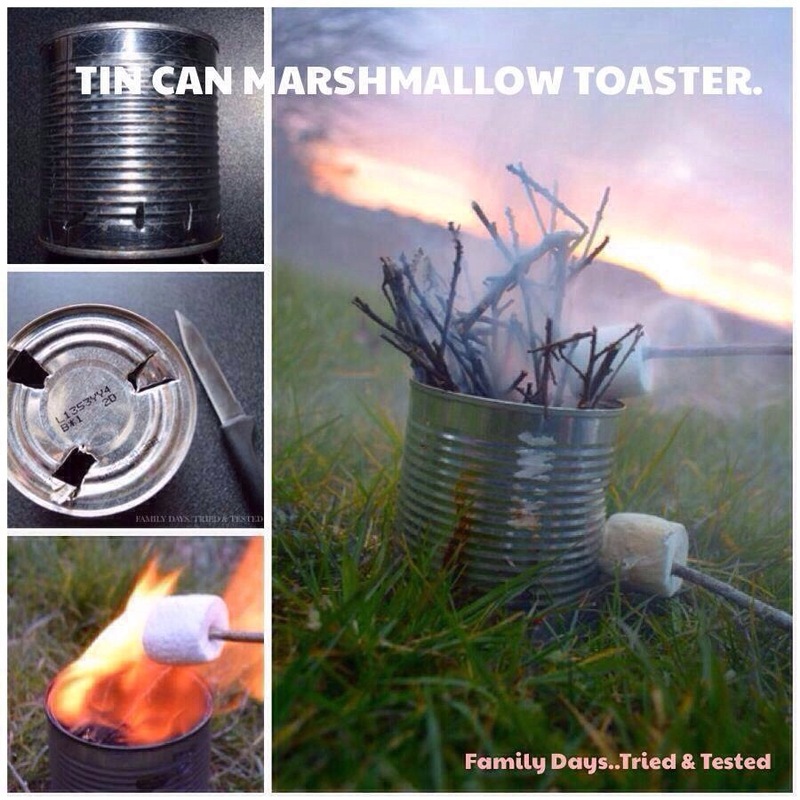 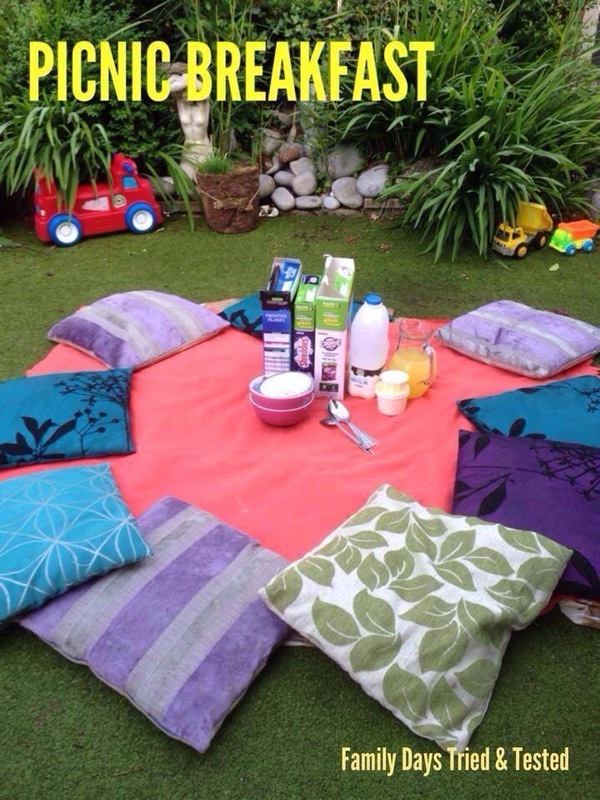 Make the last breakfast of the school term really fun. 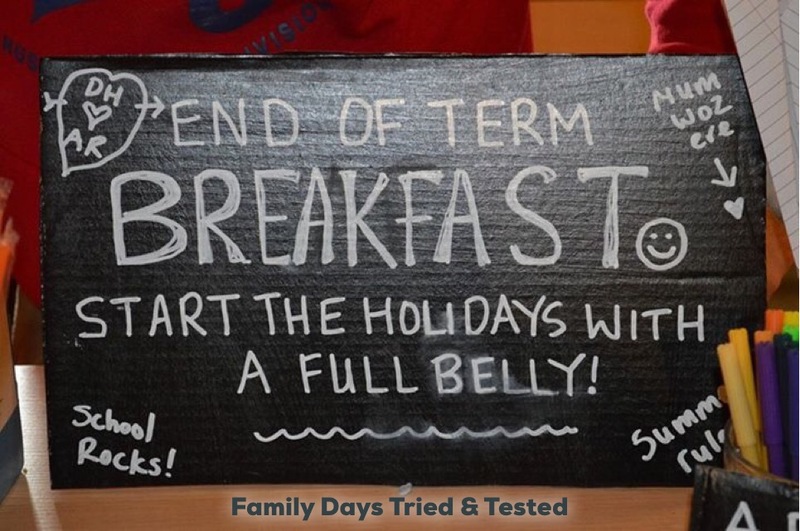 Here’s our End of Term Breakfast ideas. 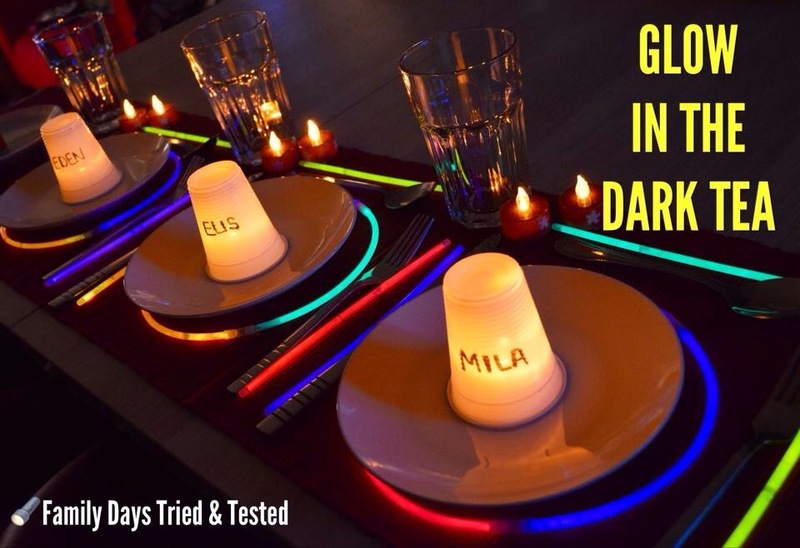 Have a glow in the dark tea. 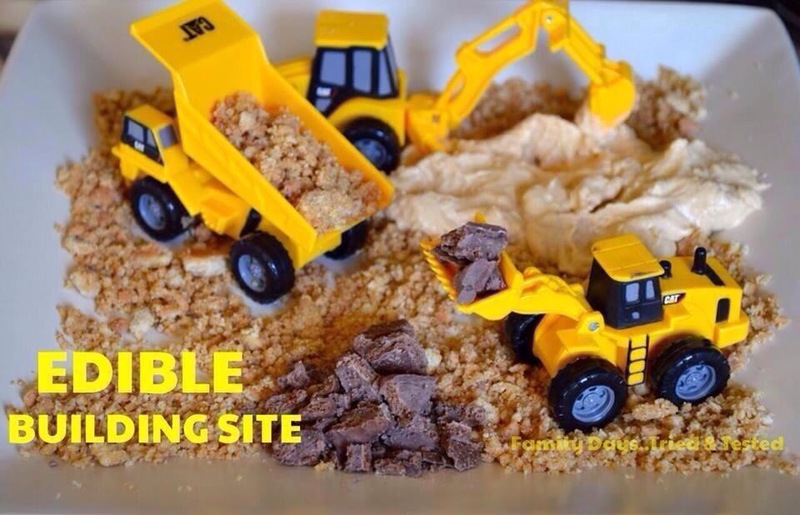 Make a building site pudding with crushed up biscuits, angel delight and chocolate chunks. 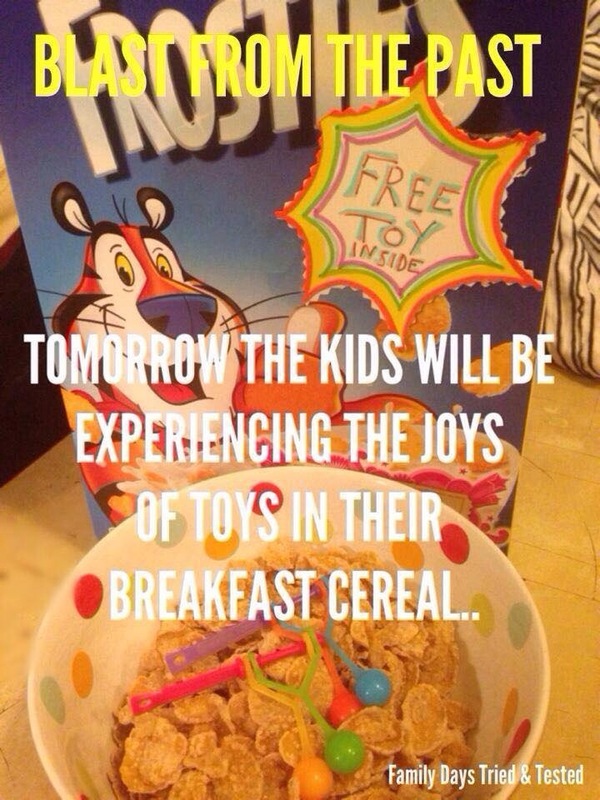 Place small toys in the breakfast cereal to enjoy a blast from the past. 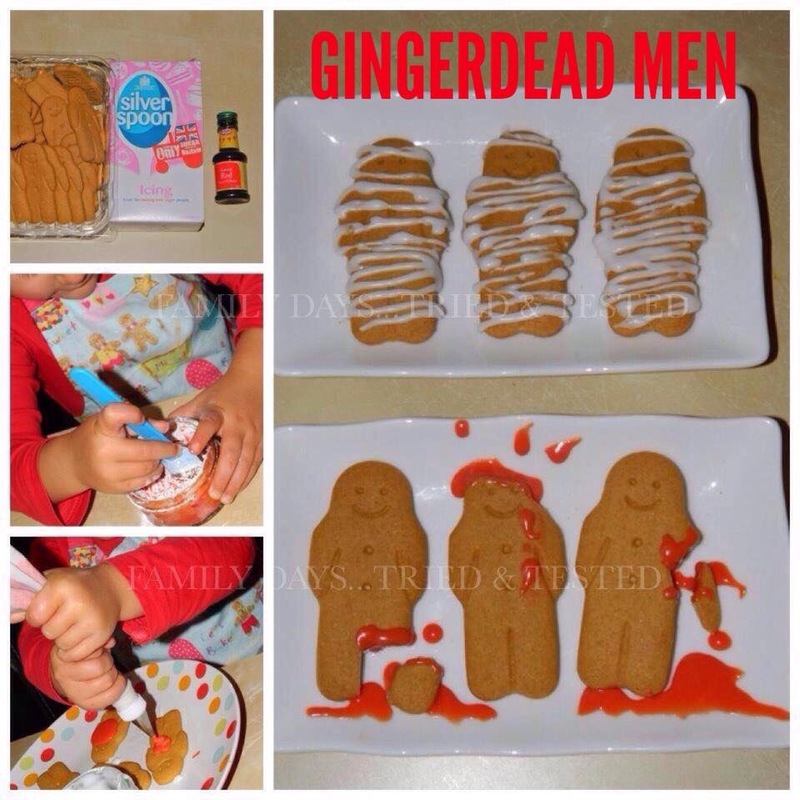 Make some gruesome gingerbread men with some ready made gingerbread men and icing. 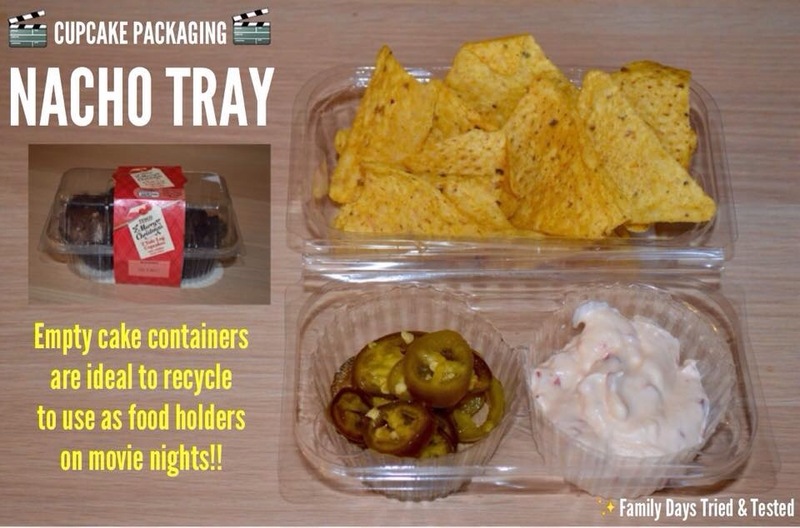 Make a movie night nacho tray with an old cupcake box. 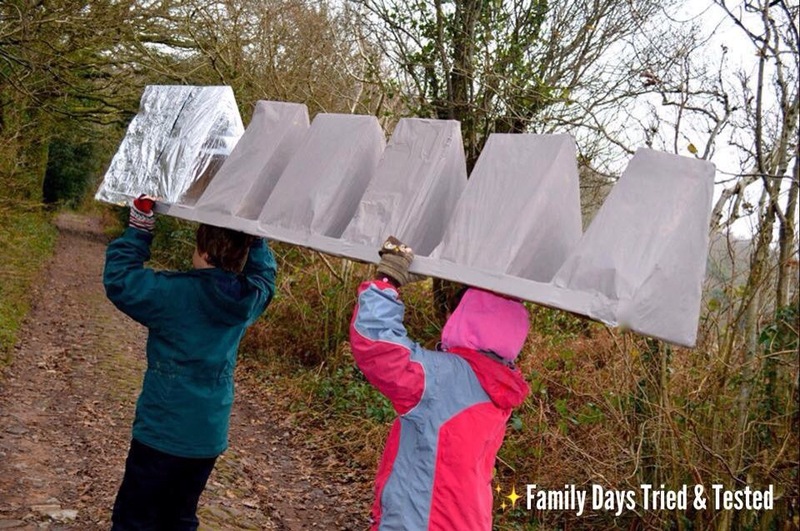 Make a giant Toblerone from cardboard and use it as a team building exercise, once they’ve carried it to a location reward them with real Toblerones. 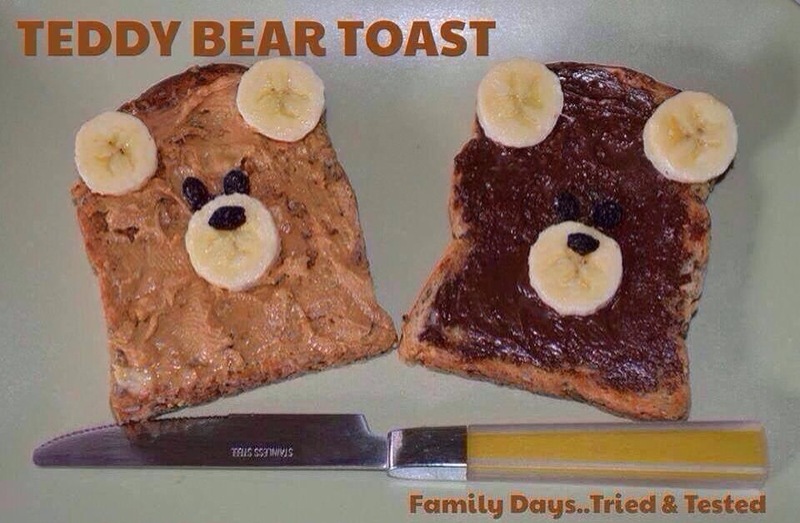 Make Teddy bear toast with peanut butter or chocolate spread, bananas and raisins. 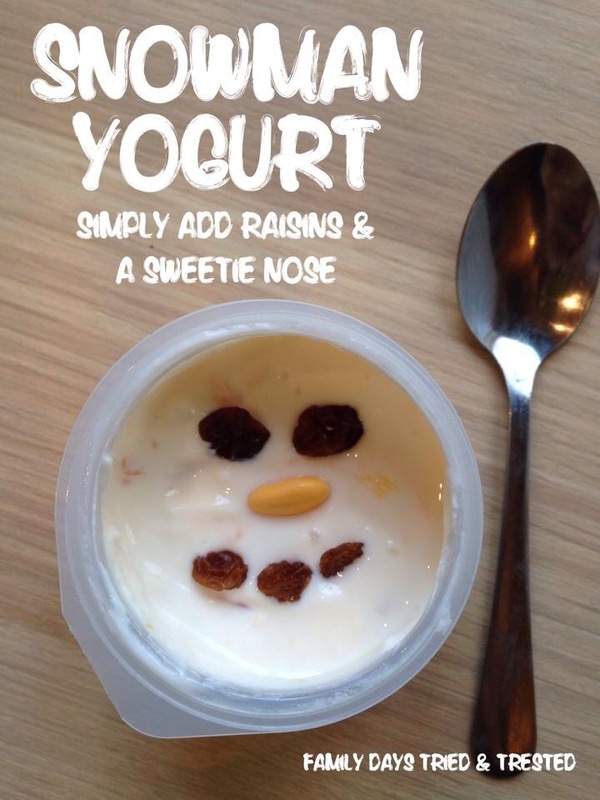 Make a snowman yogurt with raisins. 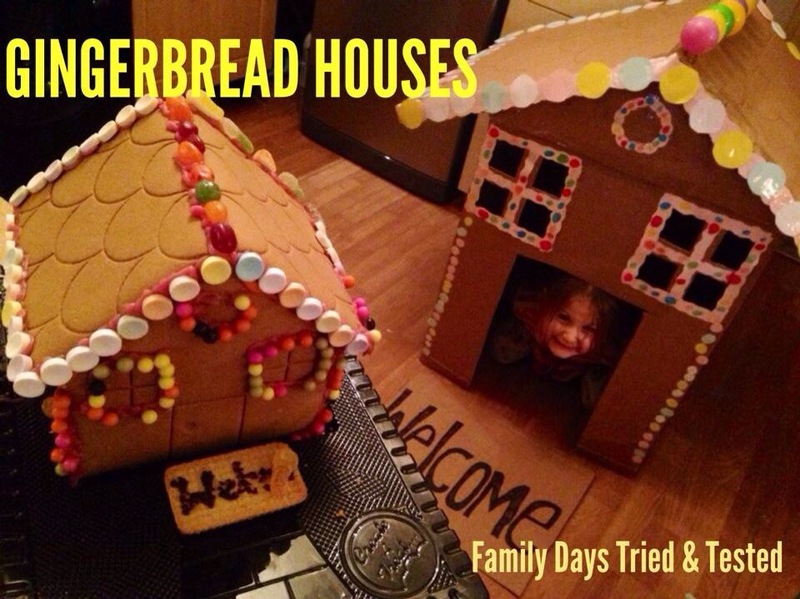 Make a giant cardboard gingerbread house to enjoy a real gingerbread house in. 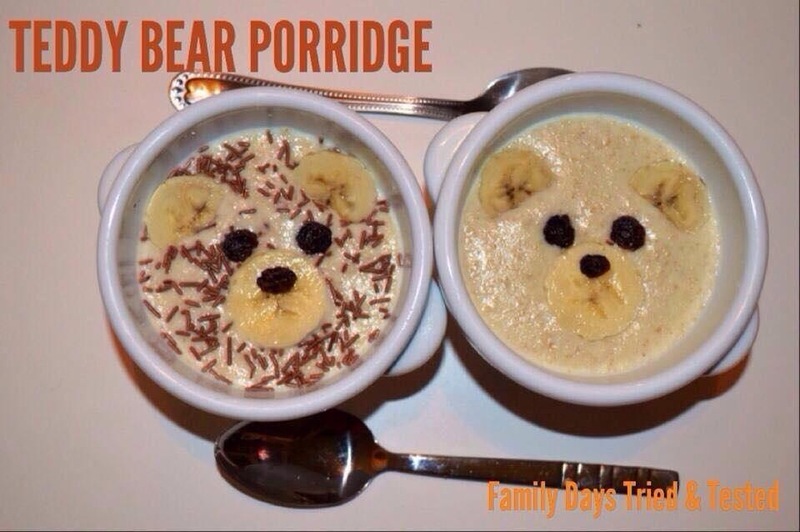 Make teddy bear porridge with bananas. 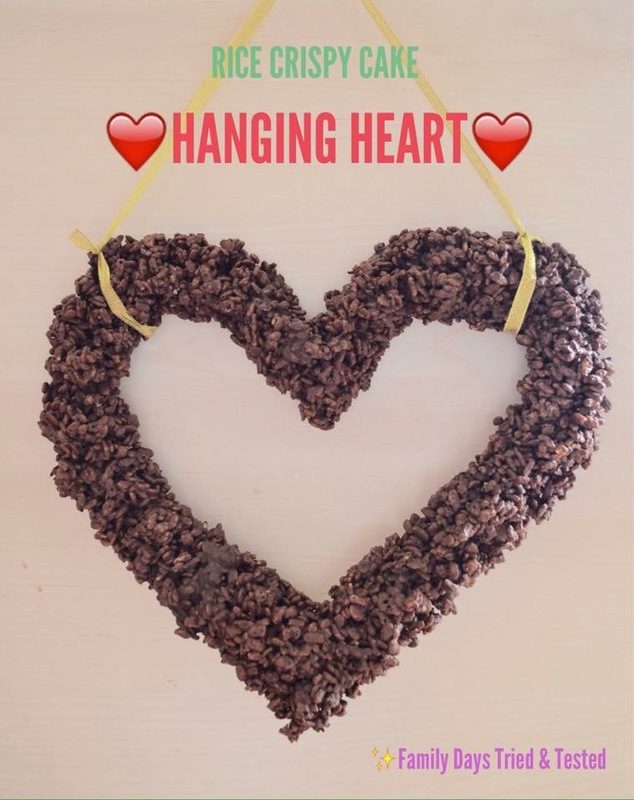 Raisins and chocolate sprinkles. 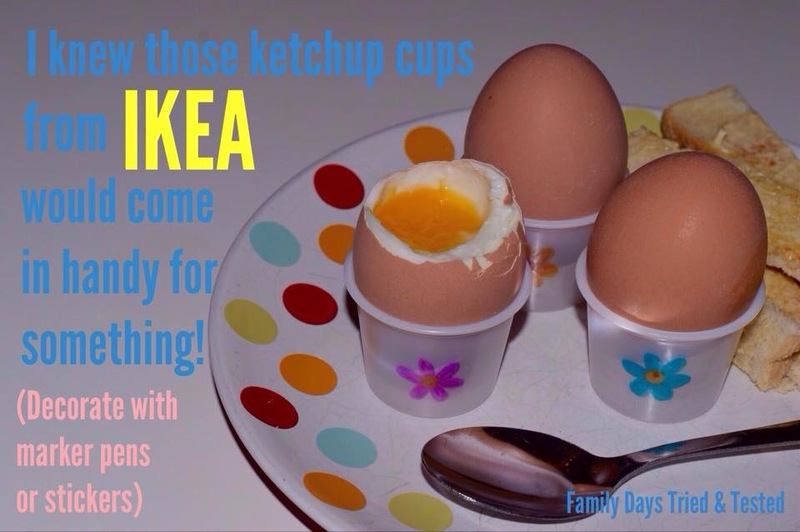 Have eggs for breakfast! 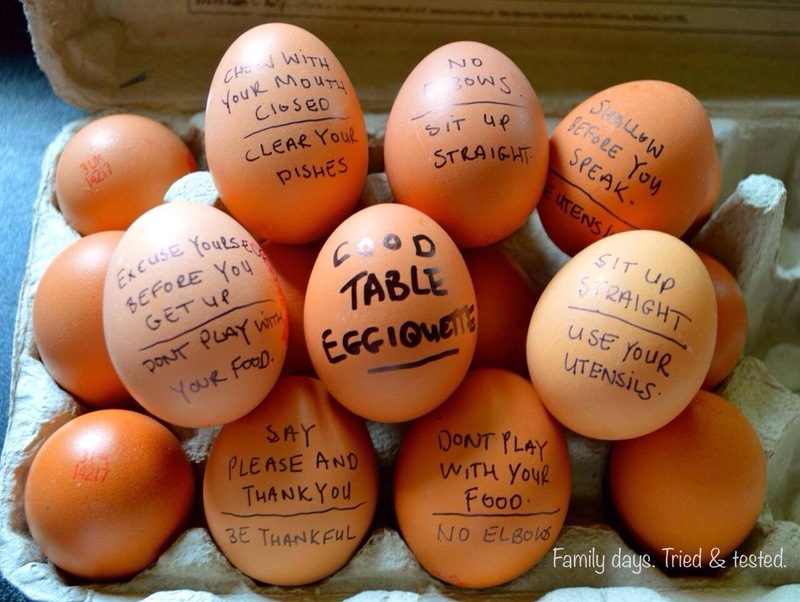 We’ve got lots more ideas for egg-based fun. 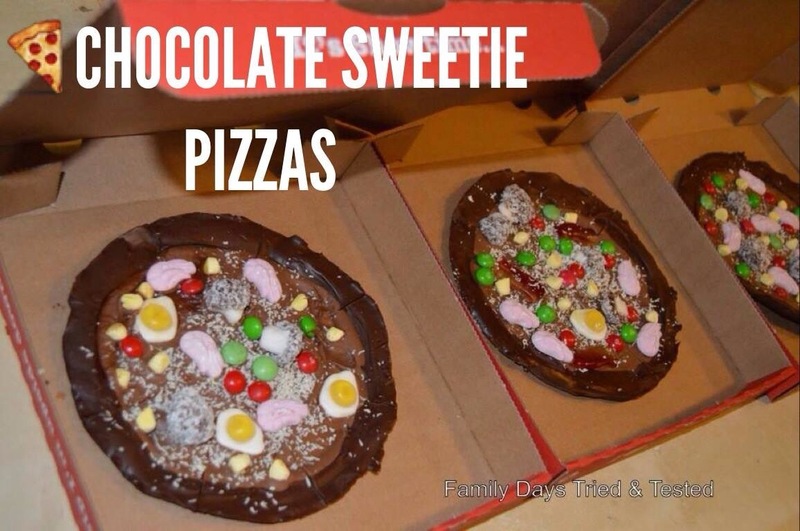 Make a fruit pizza, use grated chocolate as the cheese. 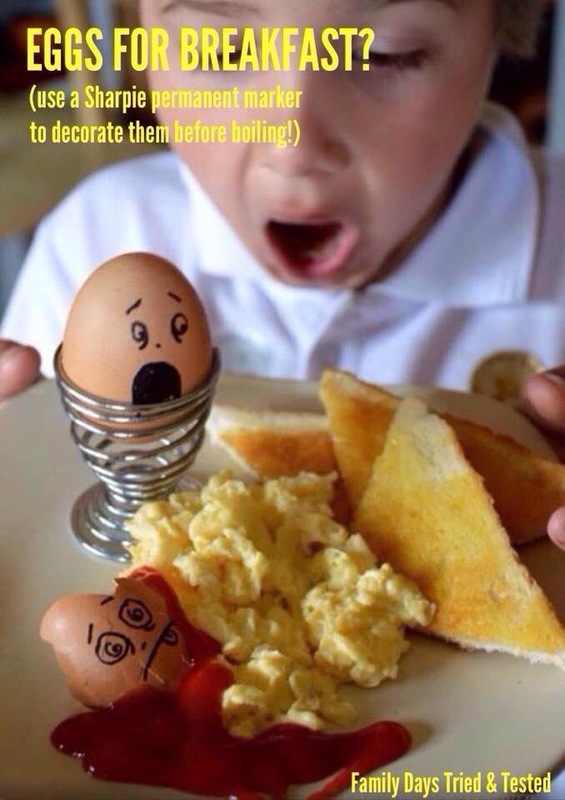 Decorate your own egg cups. 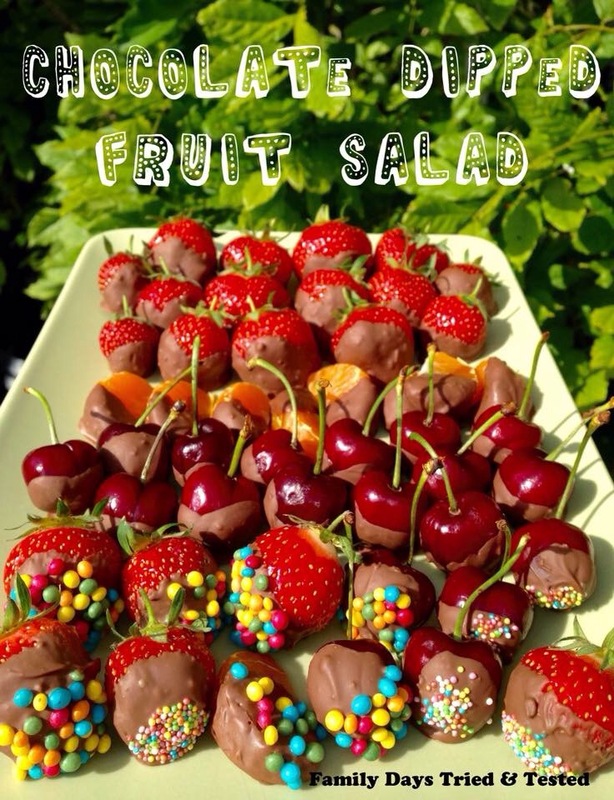 Serve your food in something different. 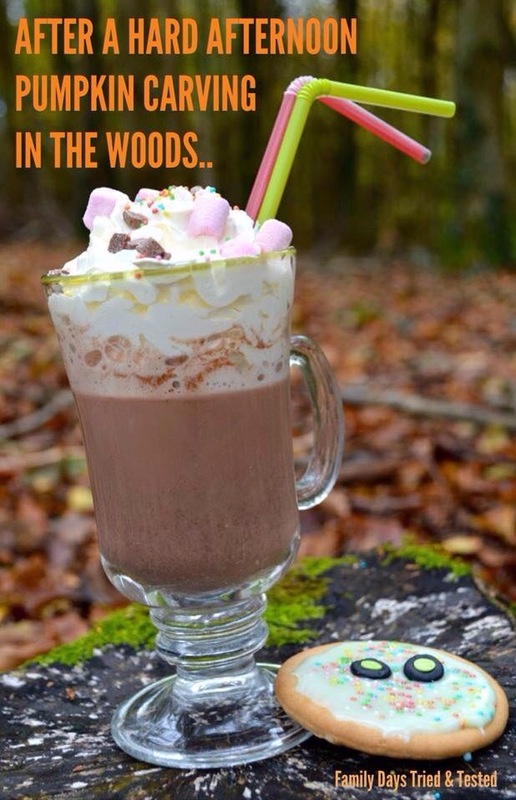 Enjoy hot chocolate in the woods. 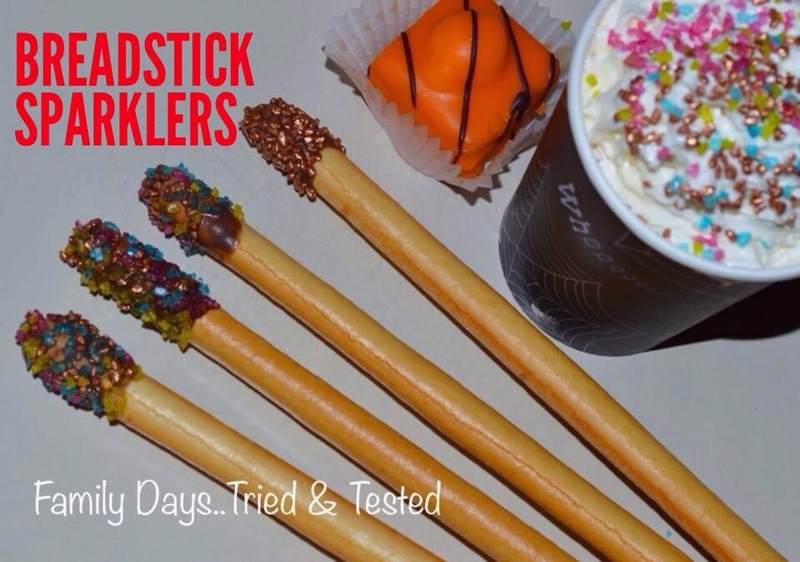 Dip breadsticks in melted chocolate and sprinkles to make edible sparklers. 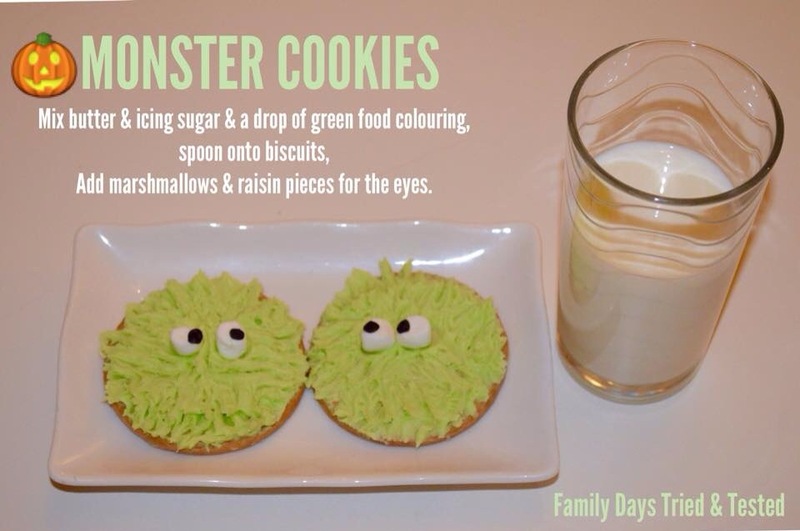 Enjoy some monster cookies with your monsters. 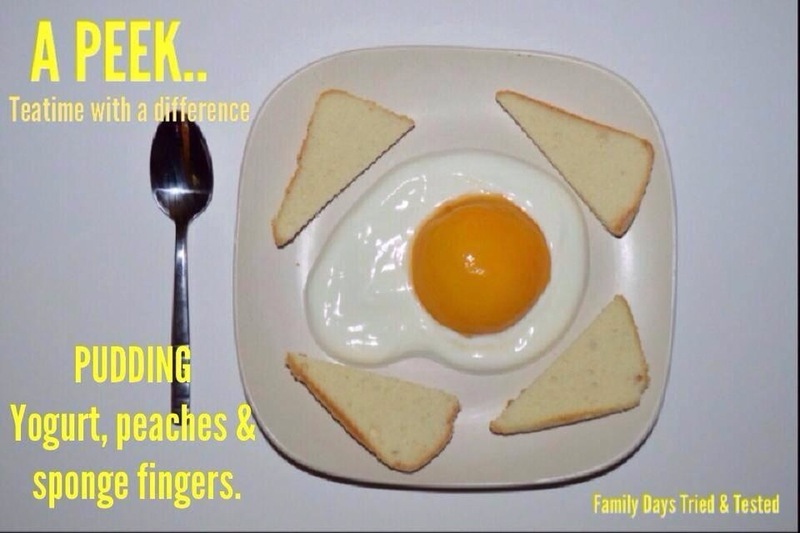 Have a back to front dinner. 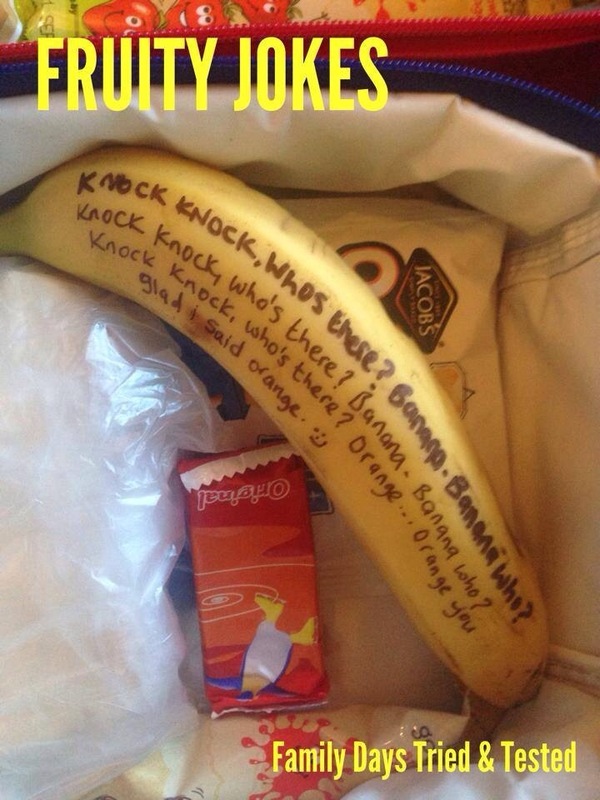 Put jokes in their packed lunches. 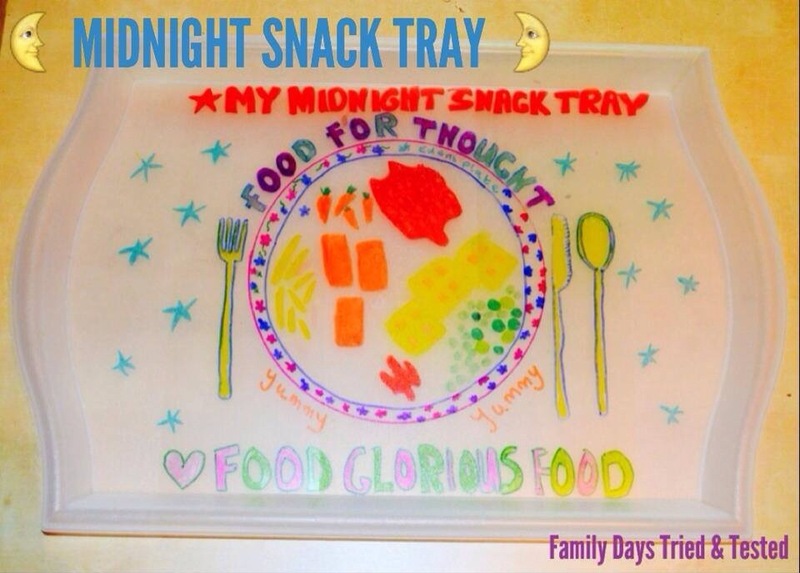 Use marker pens to make a midnight snack tray. 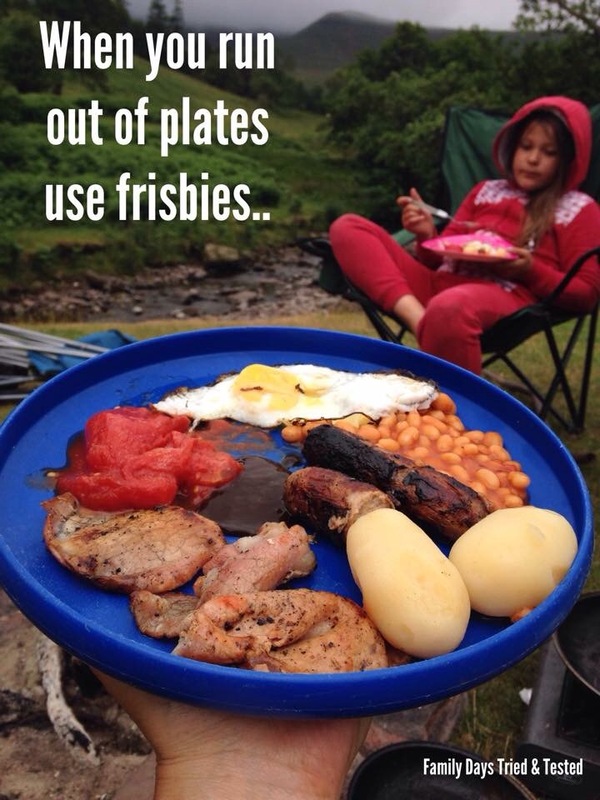 Trays are £1 in IKEA. 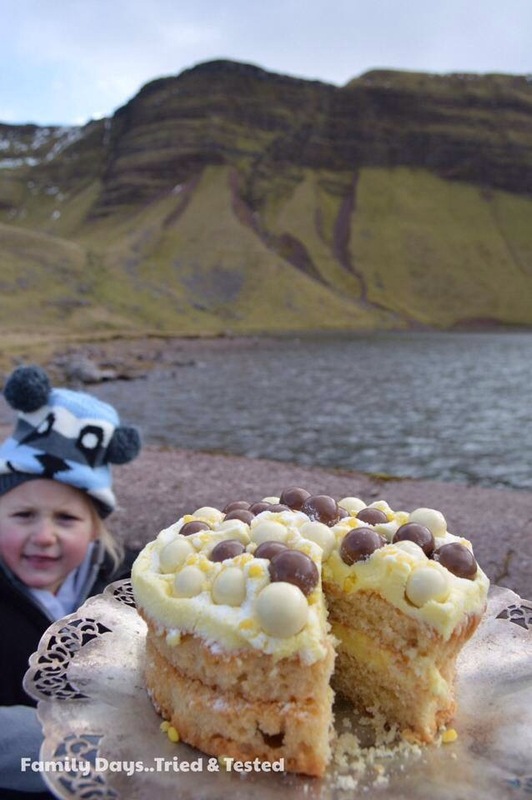 Enjoy cake with a beautiful view. 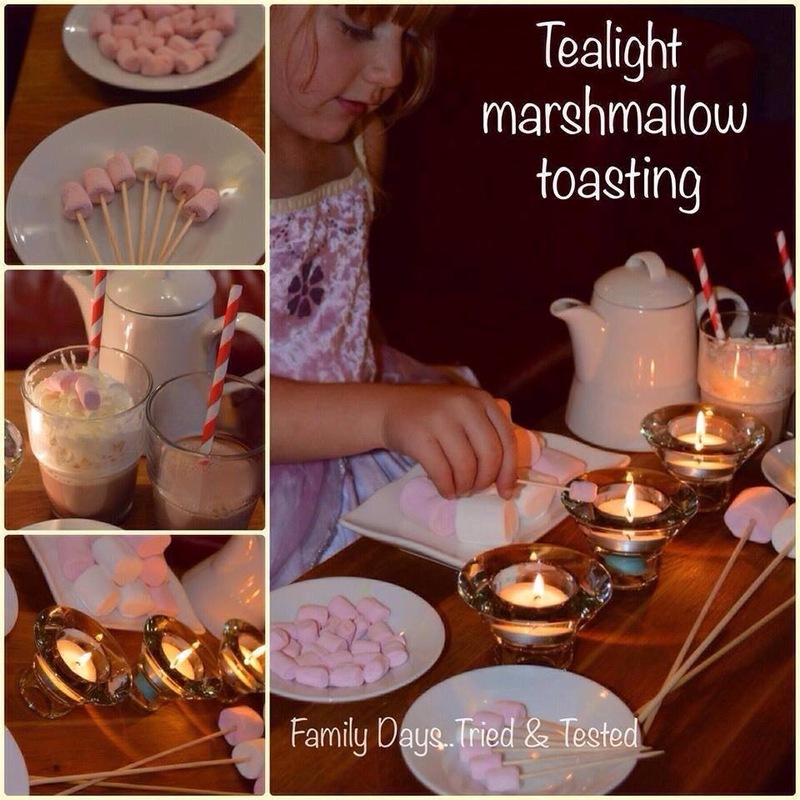 Cook mini marshmallows over tealights. 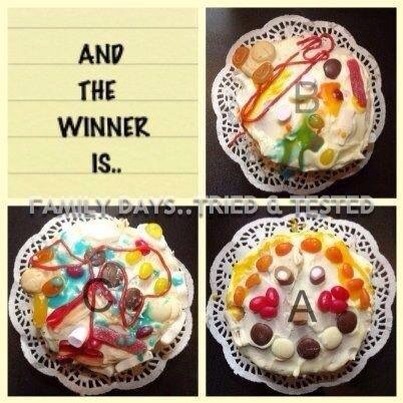 Buy sponge cakes for approx 60p each at the supermarket and have a cake decorating competition. 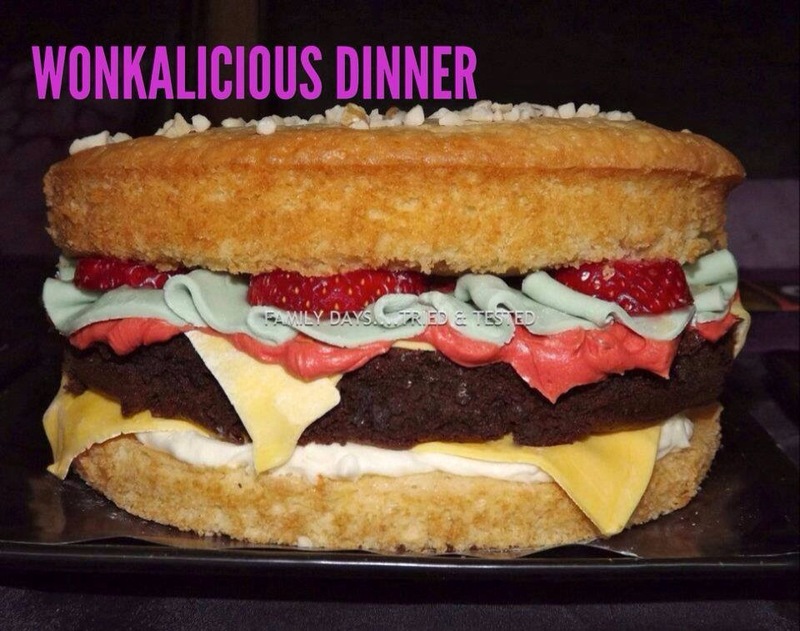 Make a cake that looks like a burger with chocolate sponge and vanilla sponge and ready roll icing and strawberries and have a Wonkalicious dinner. 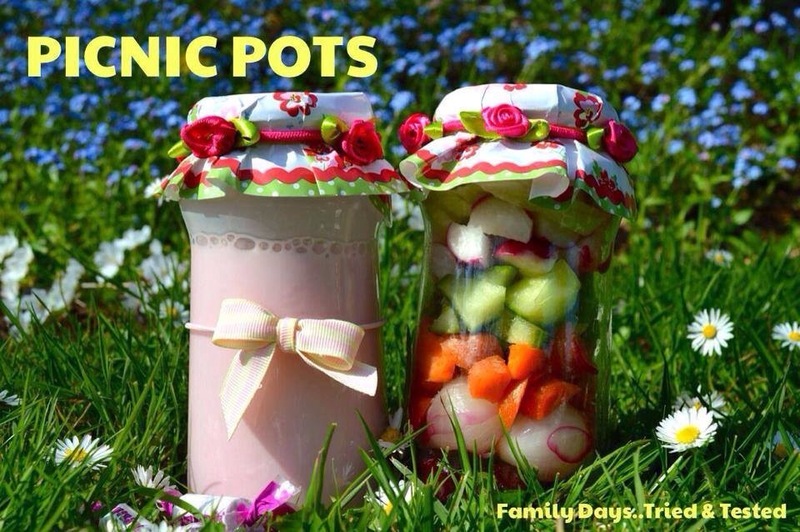 Make picnic pots with jars. 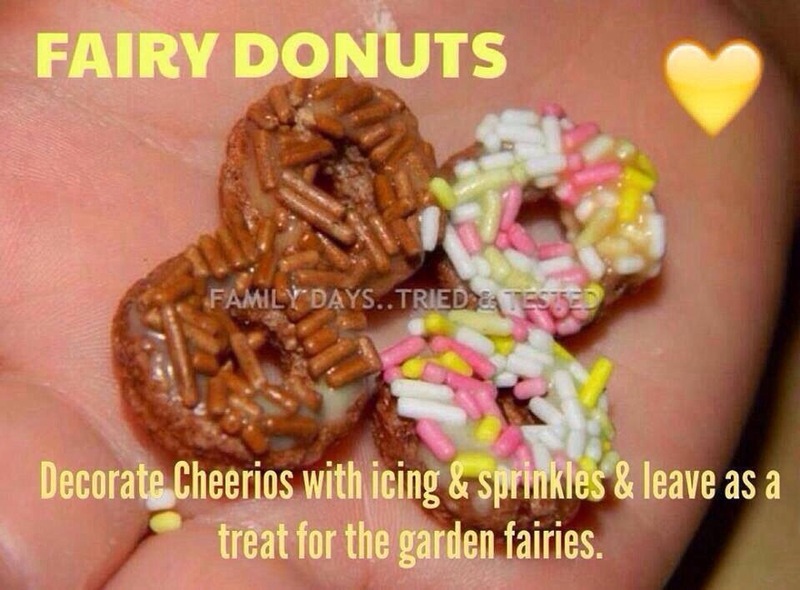 Make fairy donuts. 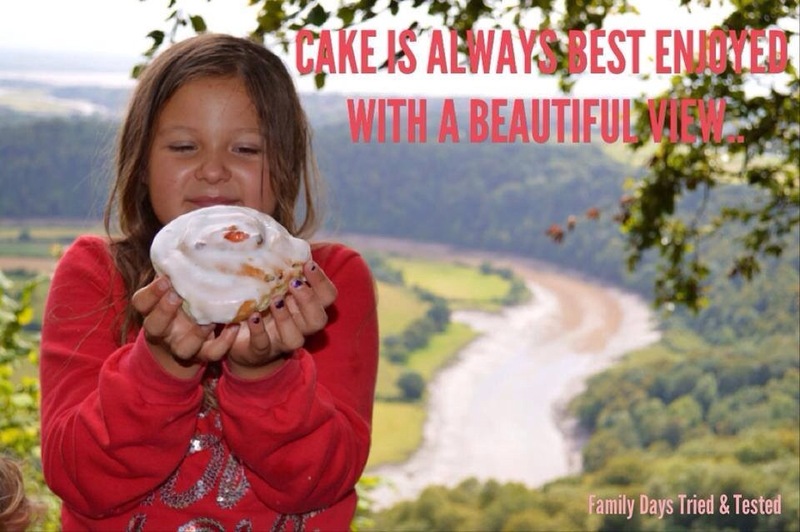 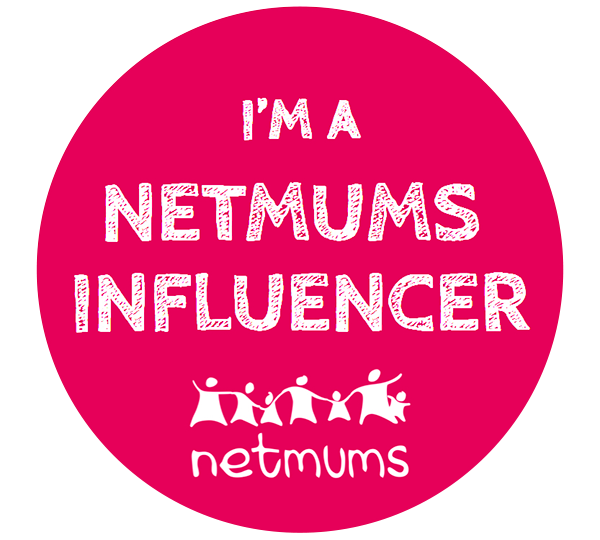 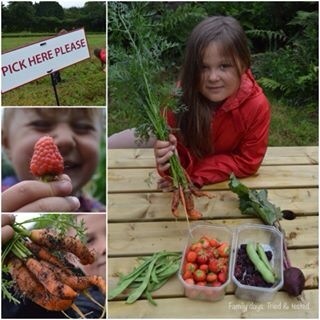 This is good to include on a BFG Inspired Fun Day. 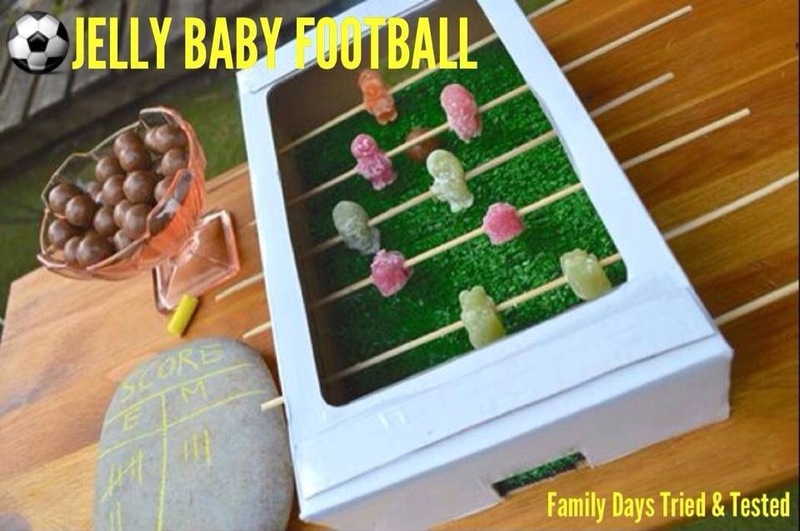 Make a jelly baby football table using a box and skewers. 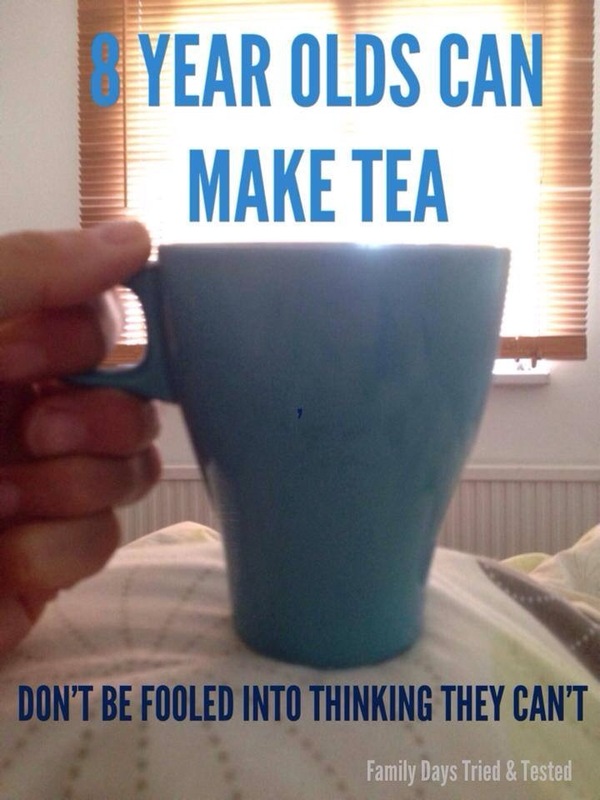 Teach the kids how to make a cup of tea. 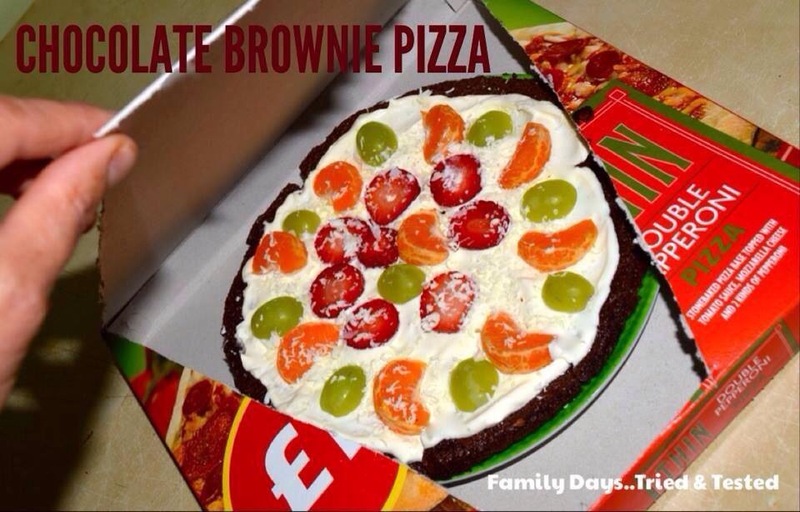 Make a chocolate brownie pizza using a brownie mix, Creme fraiche and fruit. 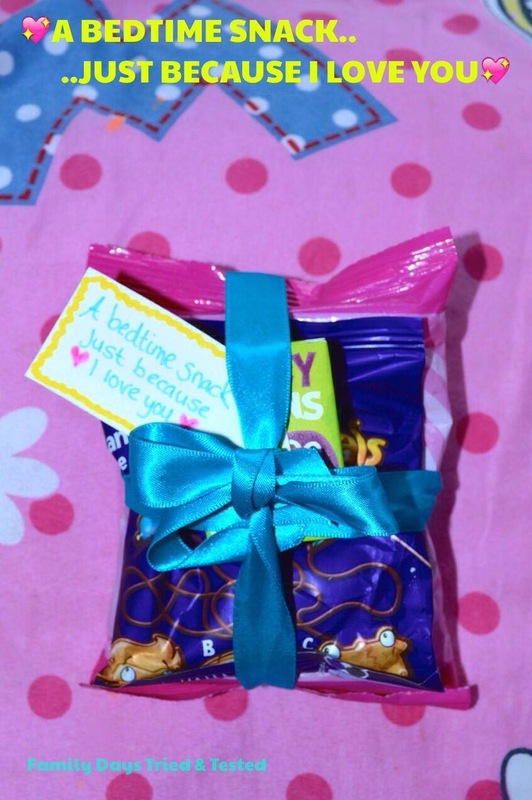 Make basic biscuit into personalised yummy gifts. 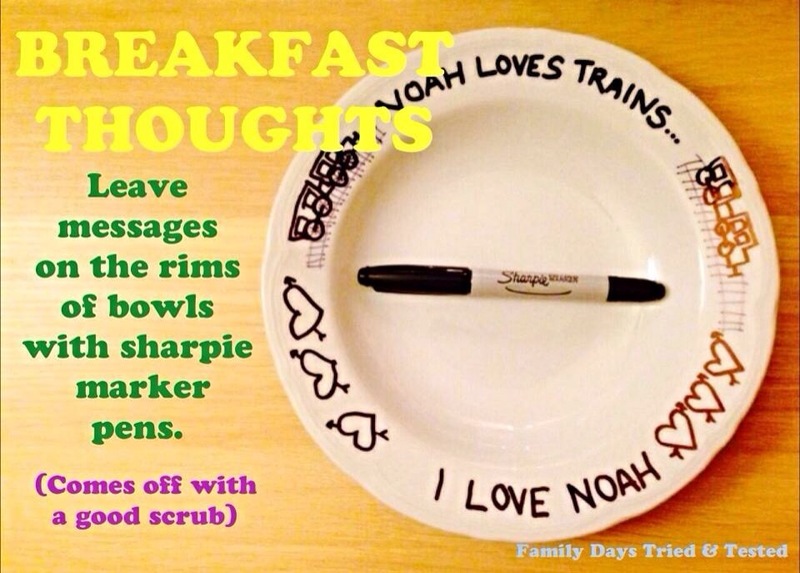 Write table manners on eggs with permanent marker pens. 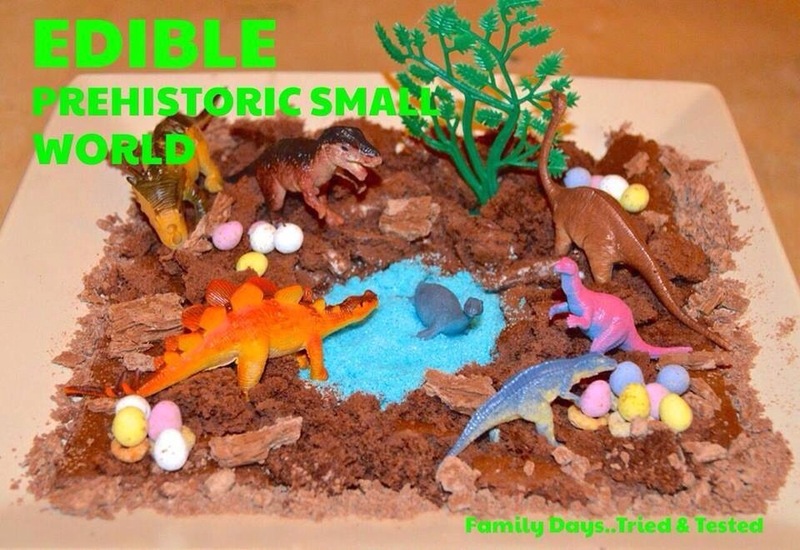 Have a prehistoric pudding with crumbled chocolate, angel delight and sprinkles. 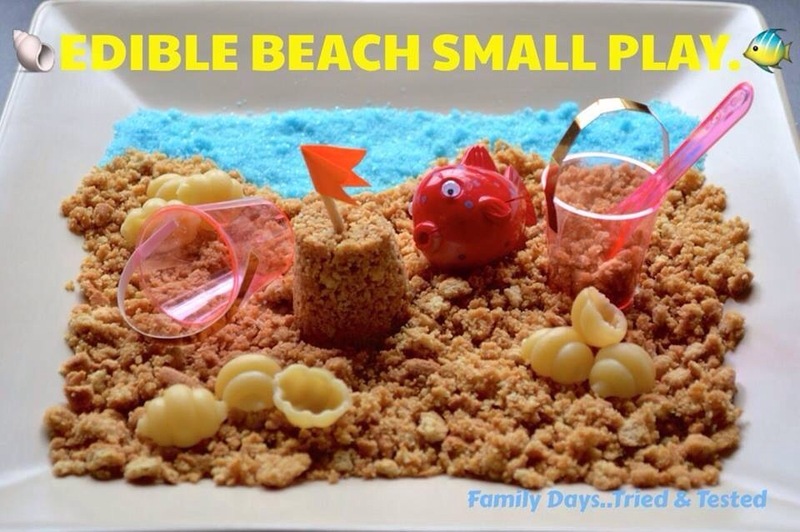 Make an edible beach pudding with digestive biscuits mixes with butter. 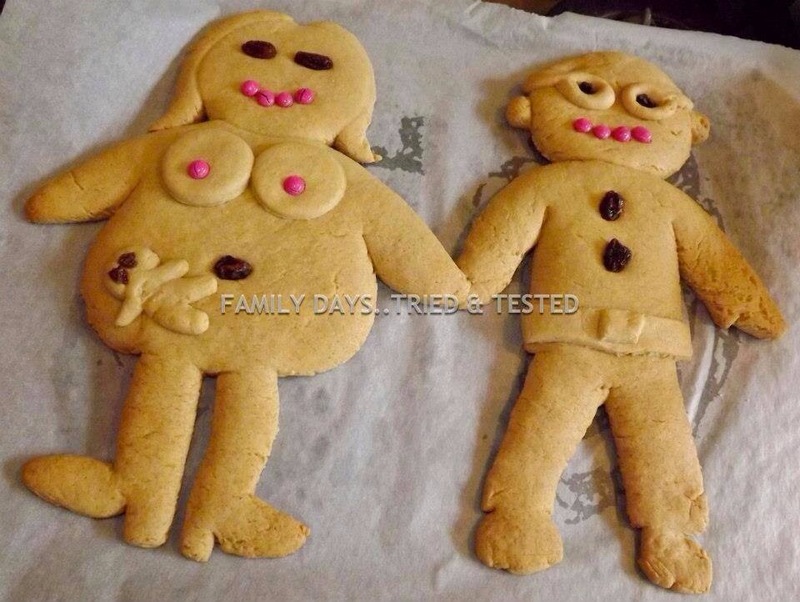 Leave bedtime snacks on their pillows. 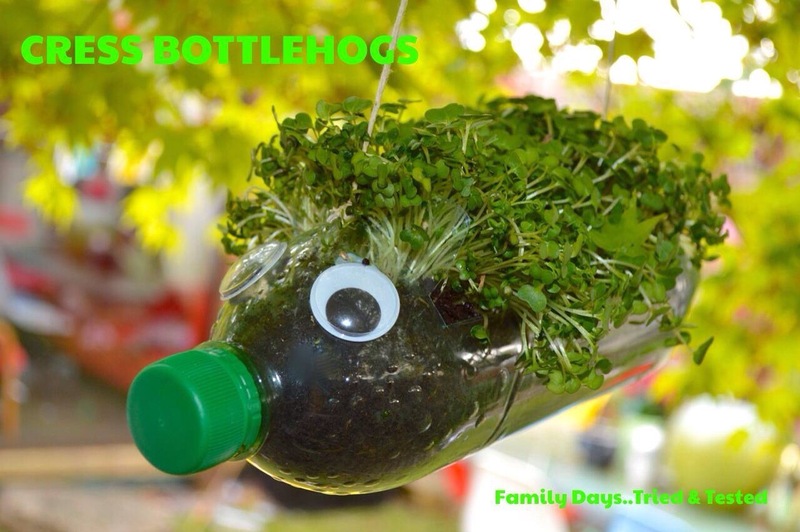 Use an empty plastic bottle to plant cress and make a cress hedgehog. 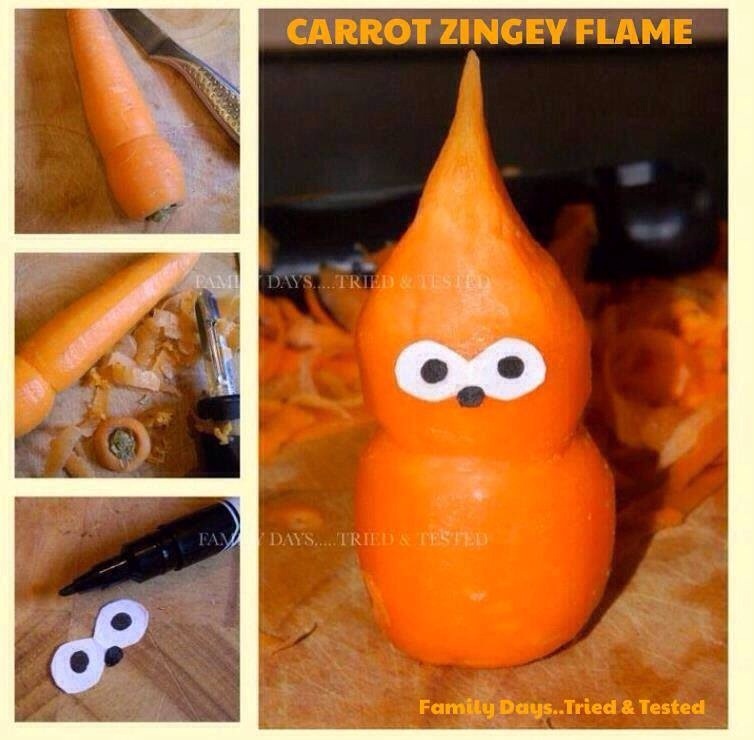 Make a Zingy with a carrot. 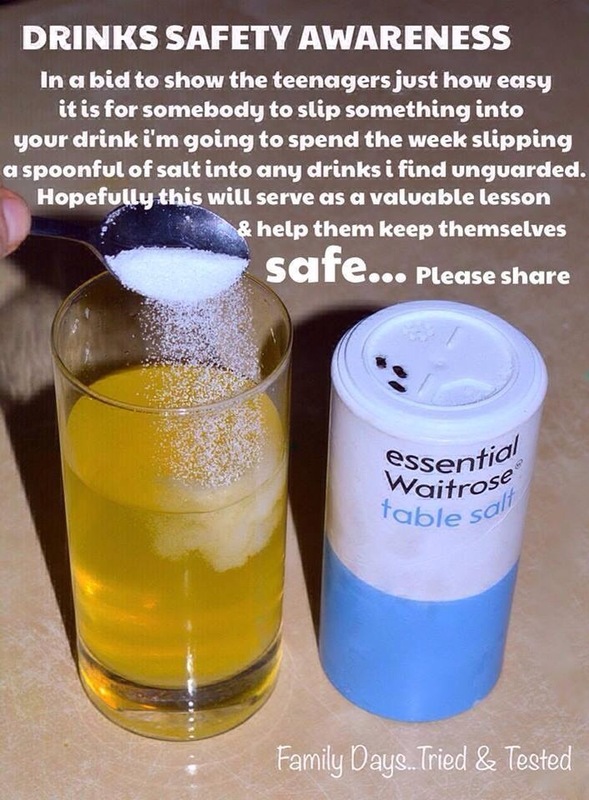 Teach the teenager drinks awareness. 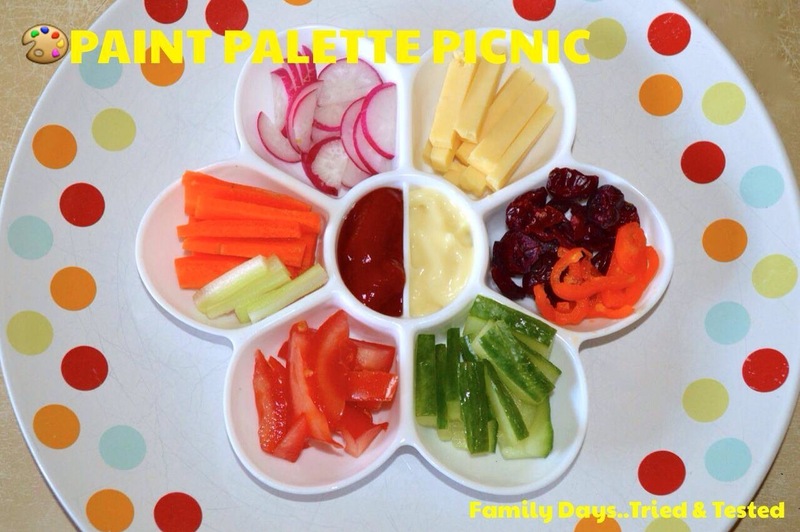 Use paint pallets as plates. 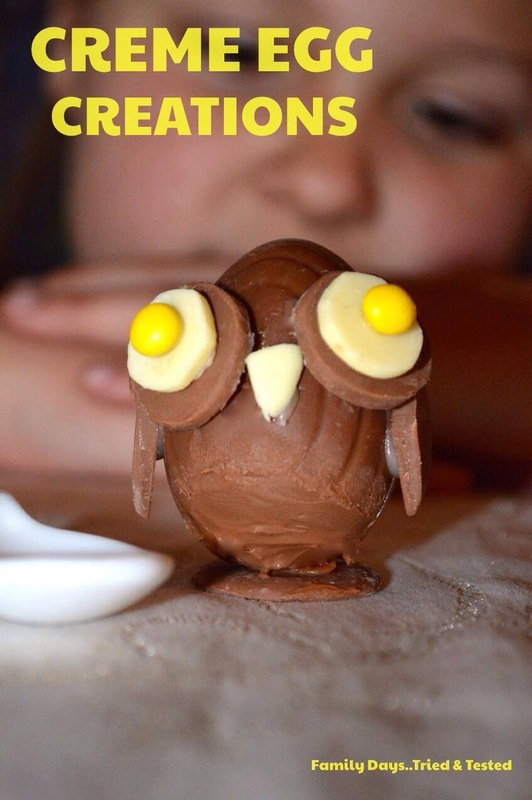 Use Creme eggs to make owls. 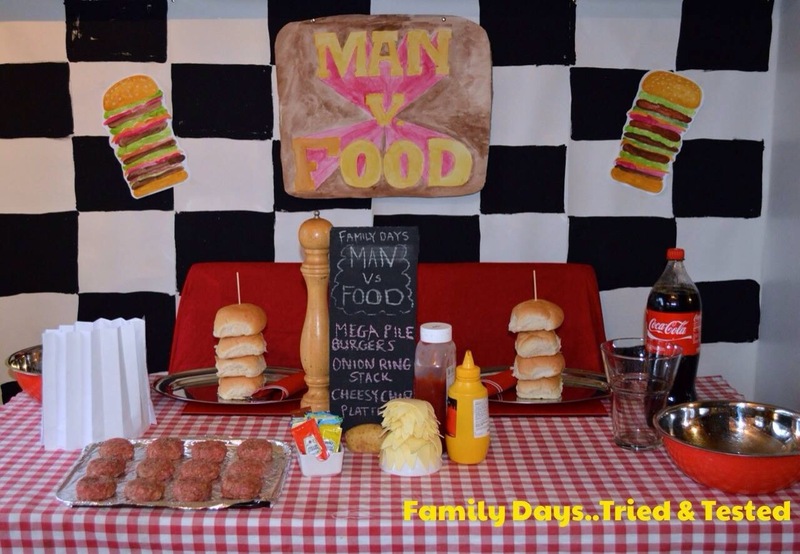 Have a man versus food tea time. 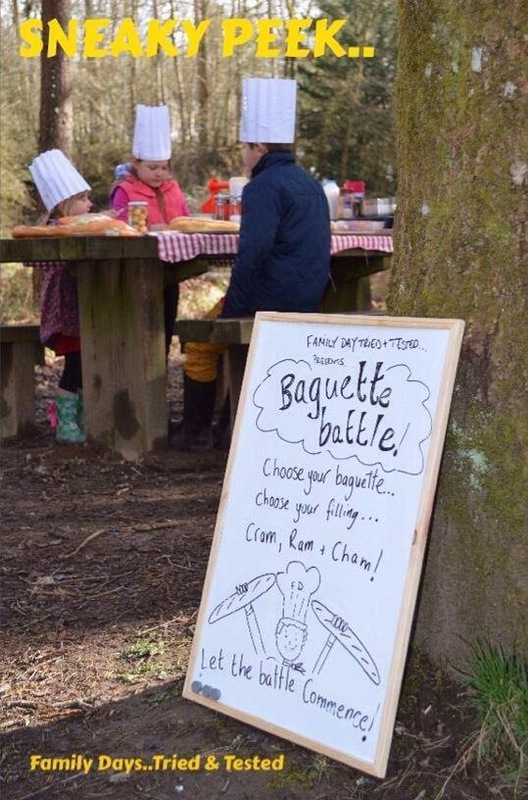 Head out with all the makings for baguettes and have a baguette battle making competition. 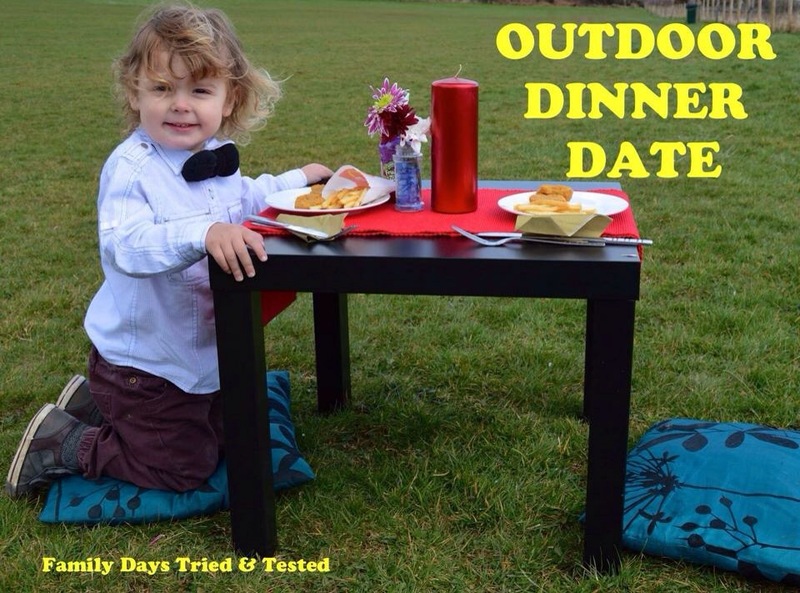 Have a wonkalcious dinner. 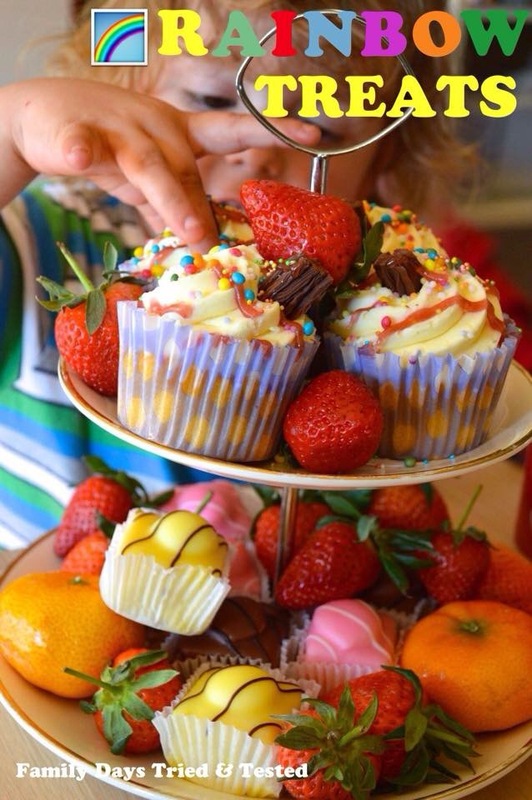 Serve cottage pies in cupcake cases with tomatoes in the top. 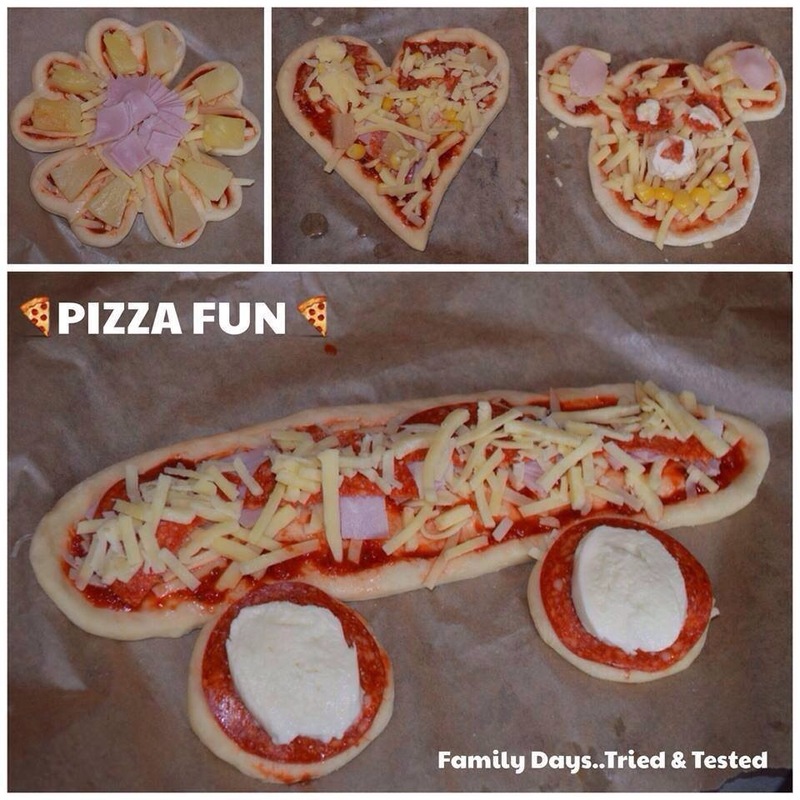 Use ready roll pastry and fruit to make pizzas. 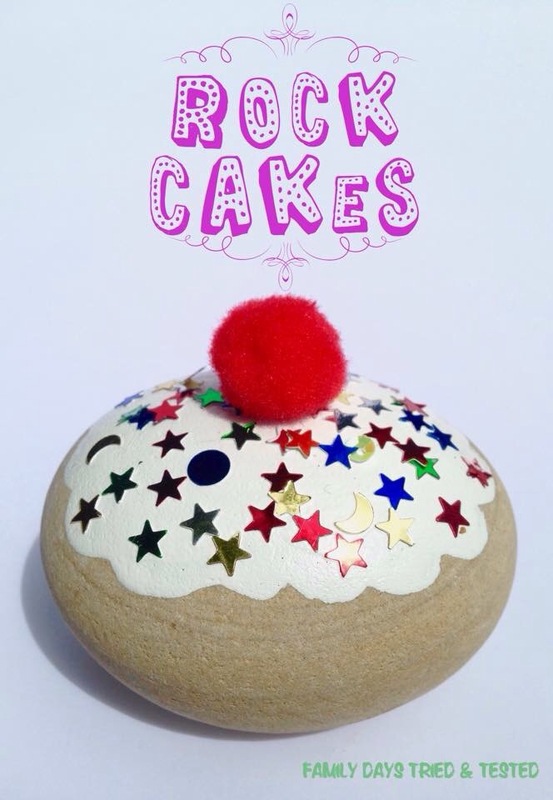 Make a burger cake. 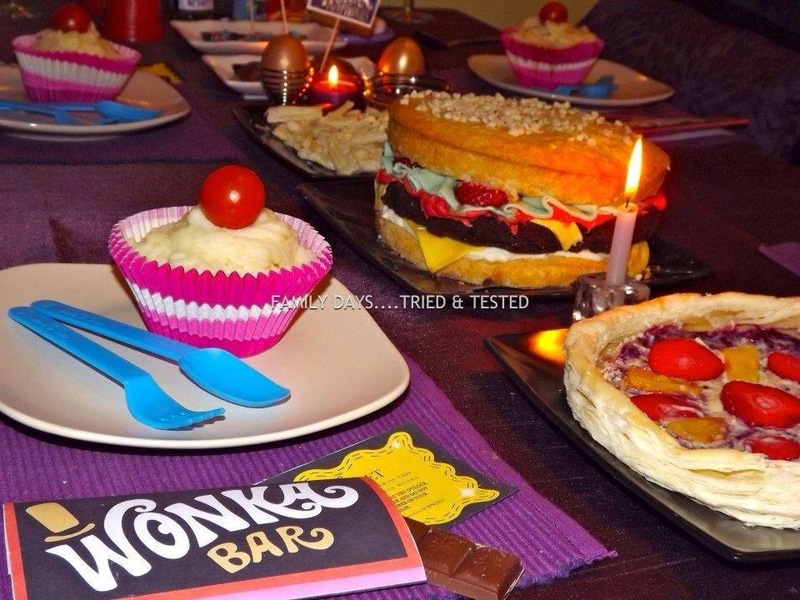 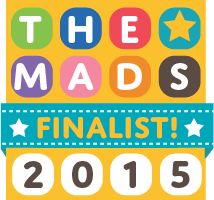 Finish by printing off Wonka bar covers for bars of chocolate with golden tickets in. 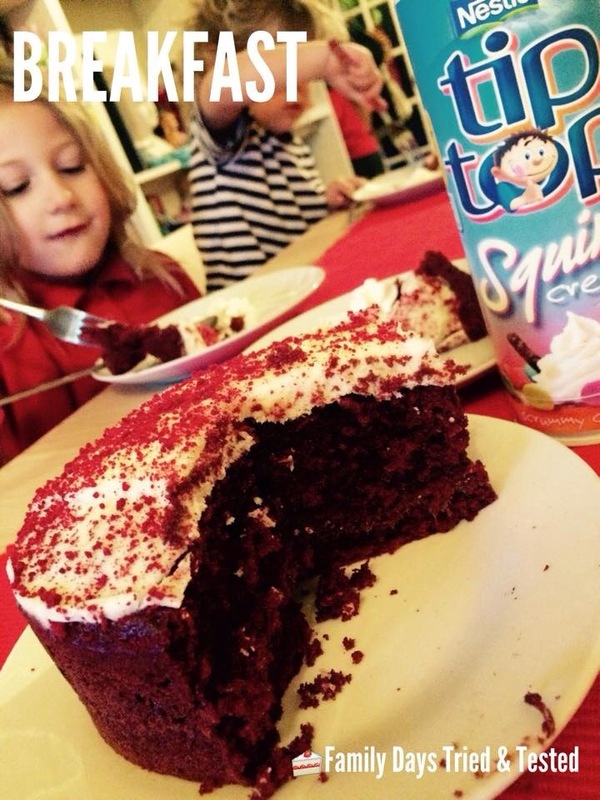 Make sponge cakes. 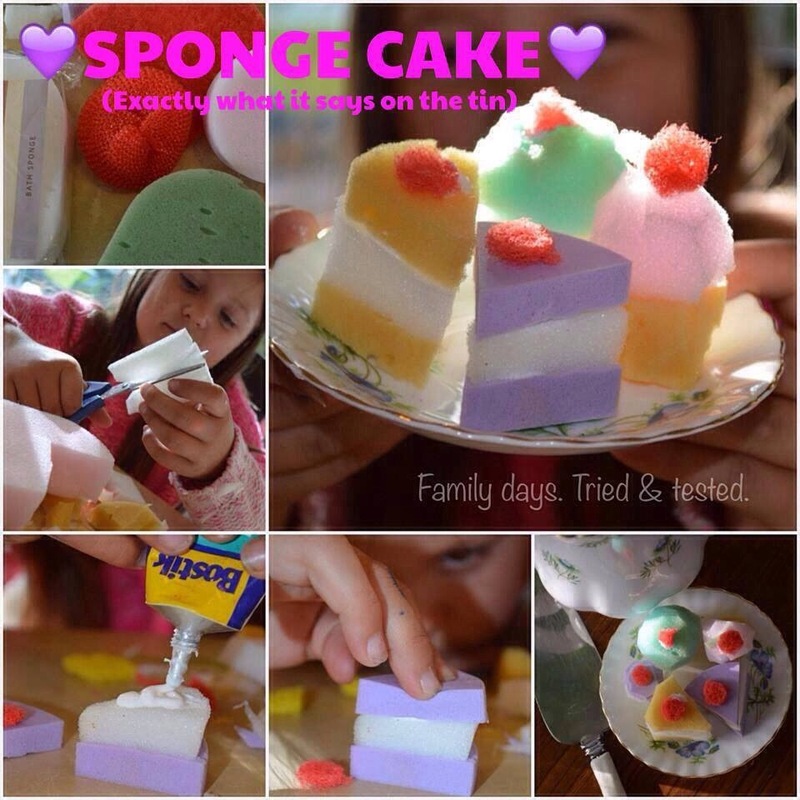 You can buy cheap packs of sponges in pound stores. 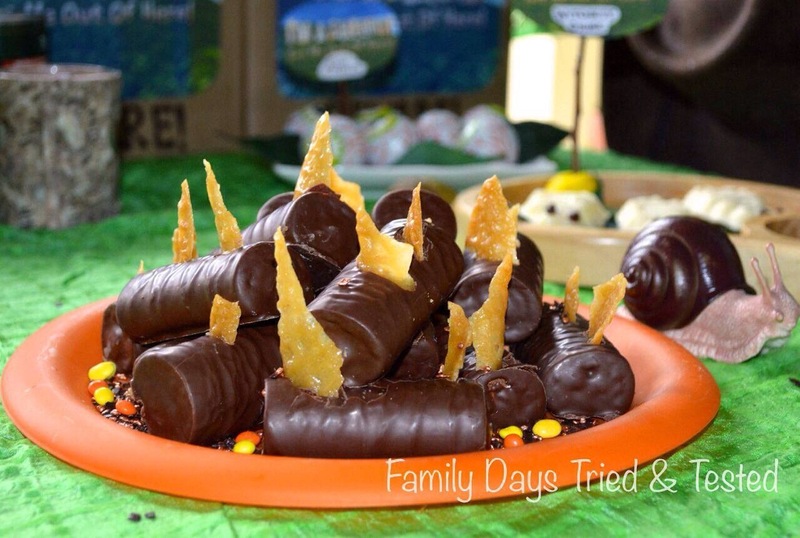 Make a yummy log fire with chocolate rolls and brandy snaps. 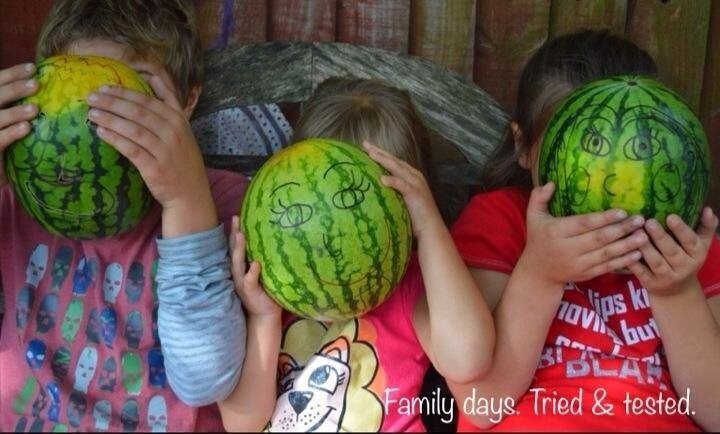 Make watermelon faces. 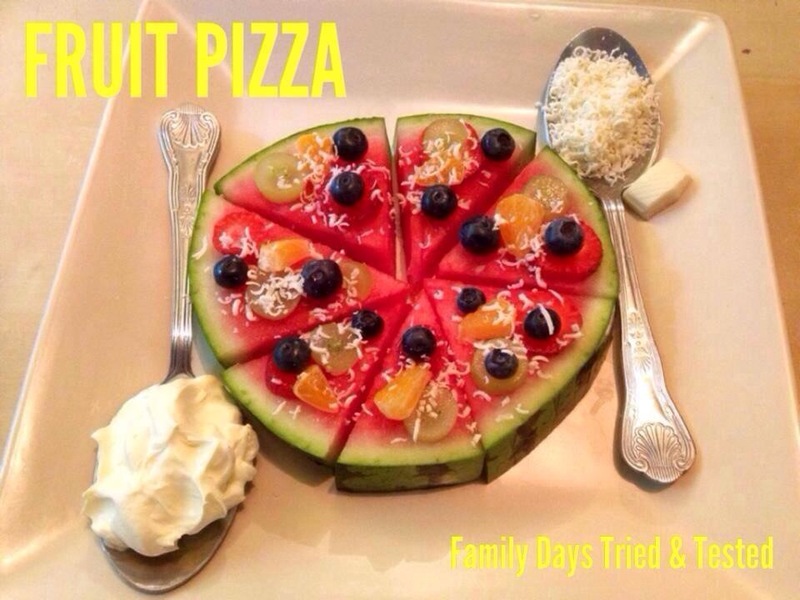 Kids love reviving their own watermelon as a gift! 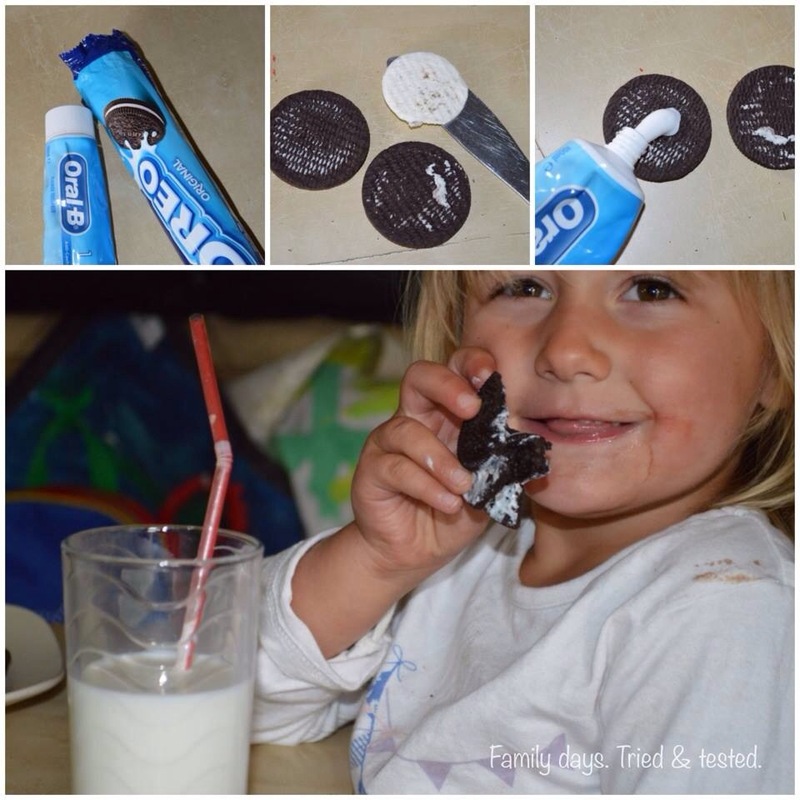 Fool the kids by filling Oreos with toothpaste Here’s have a Day Filled With Pranks. 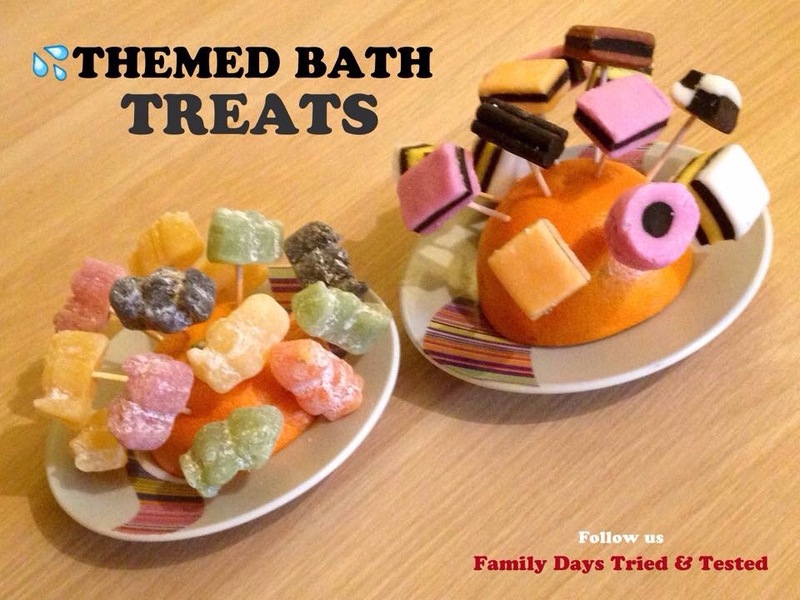 It’s always fun to have a themed bath. 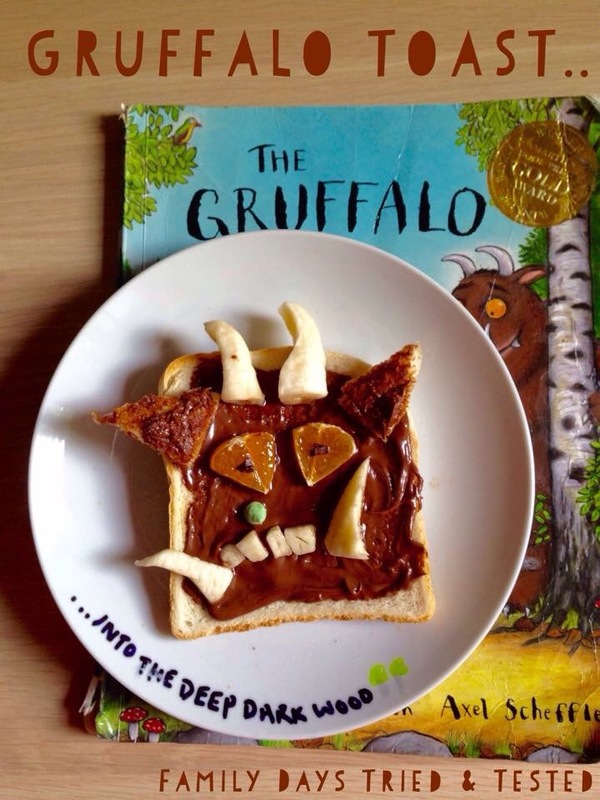 This is great for Gruffalo themed day. 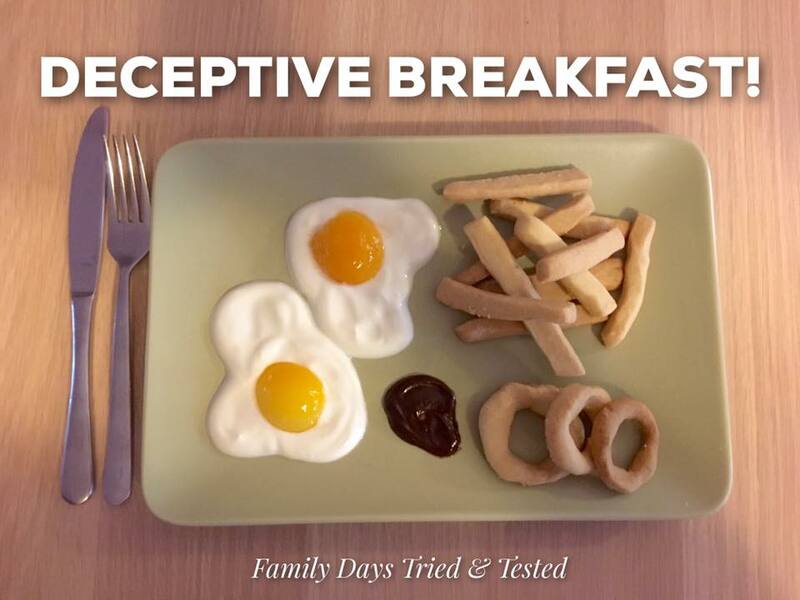 Have a Fun Deceptive Breakfast where nothing is what it seems. 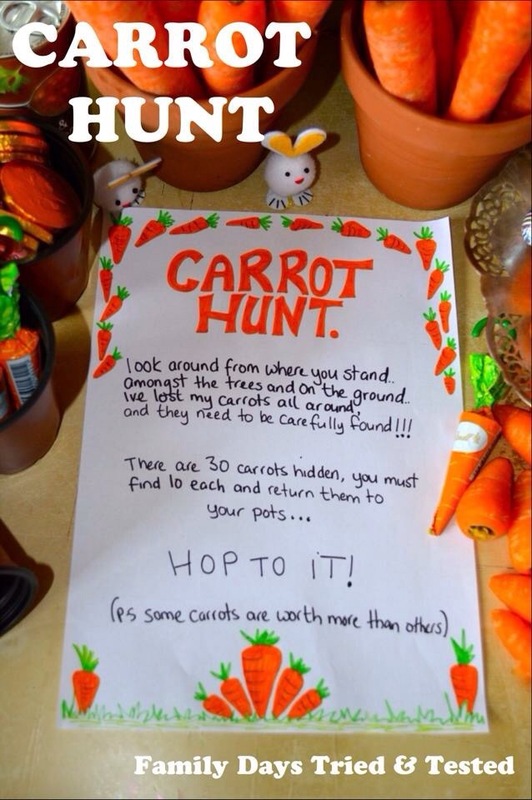 A Carrot Hunt is fab at Easter. 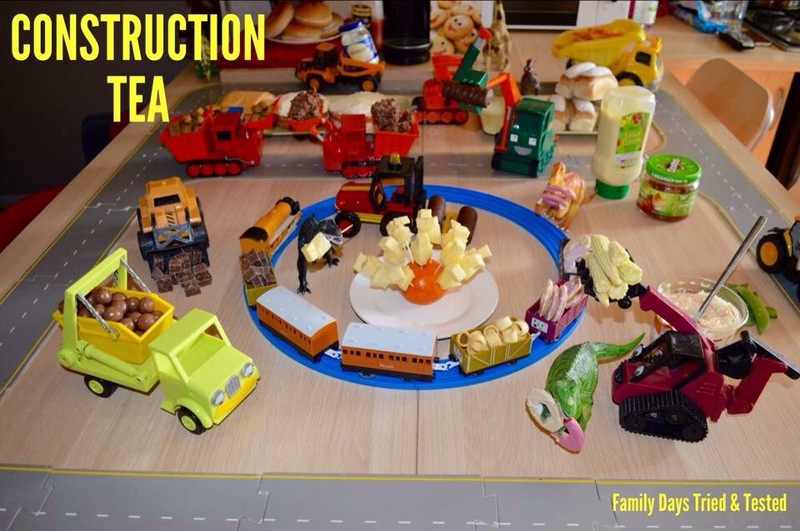 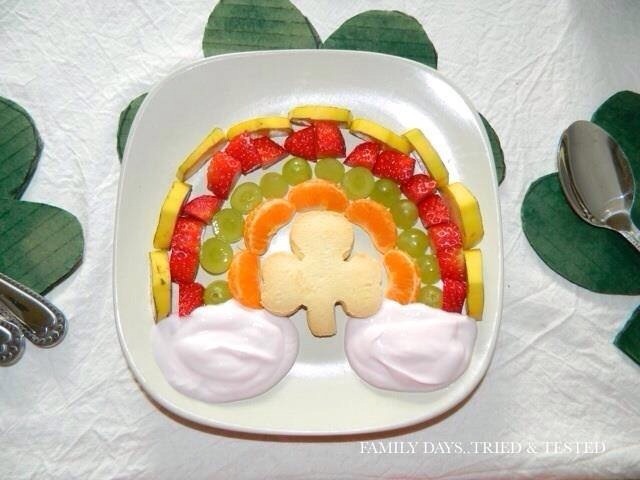 Have you ever tried making Food Art With Kids? 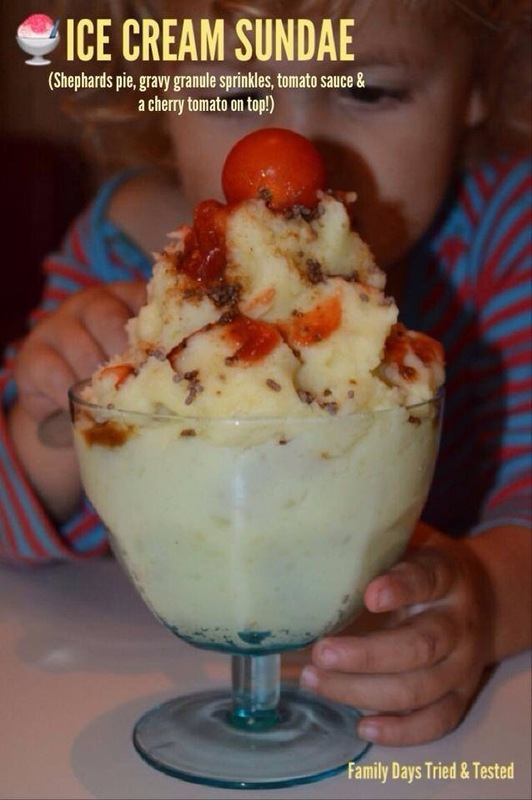 You’ll soon start seeing your favourite foods in a new way. 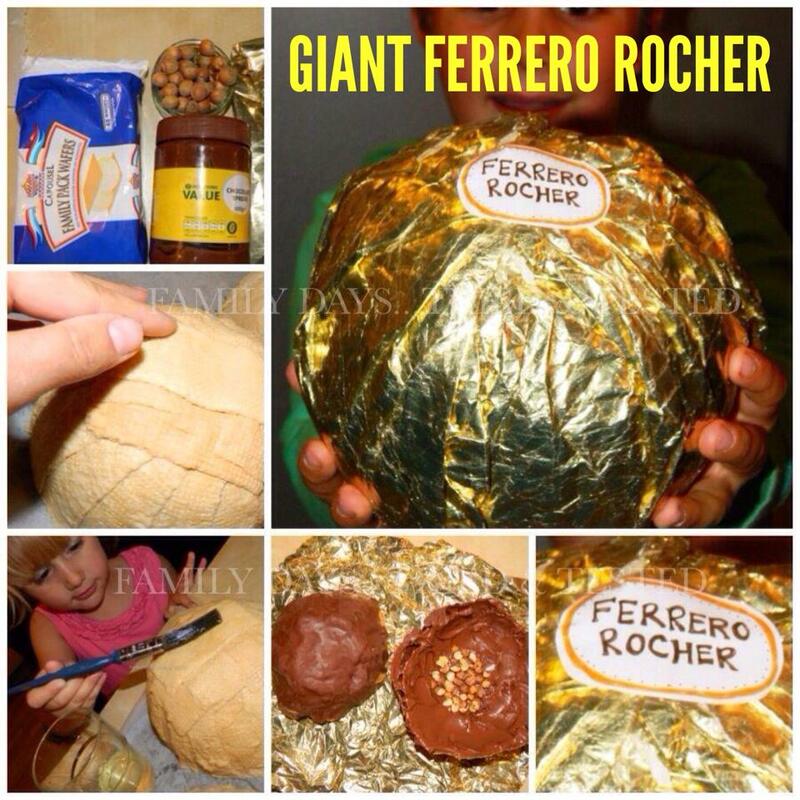 Could you eat a Ferrero Rocher as big as your head? 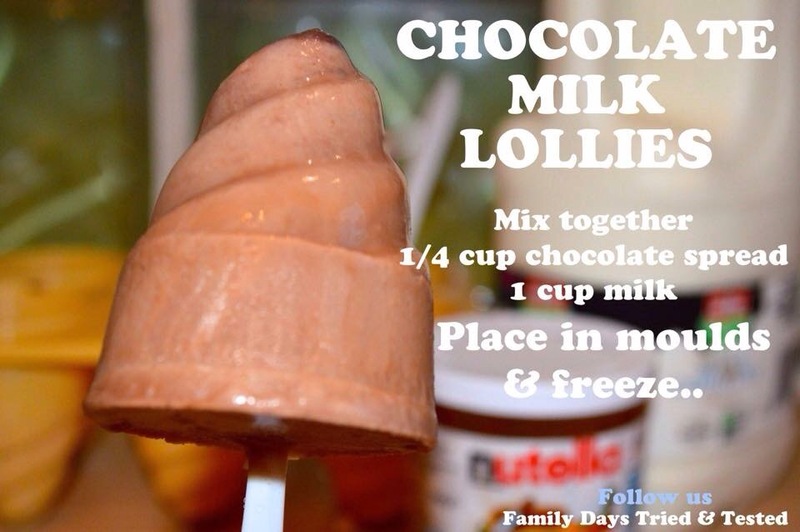 It’s certainly worth giving it a go. 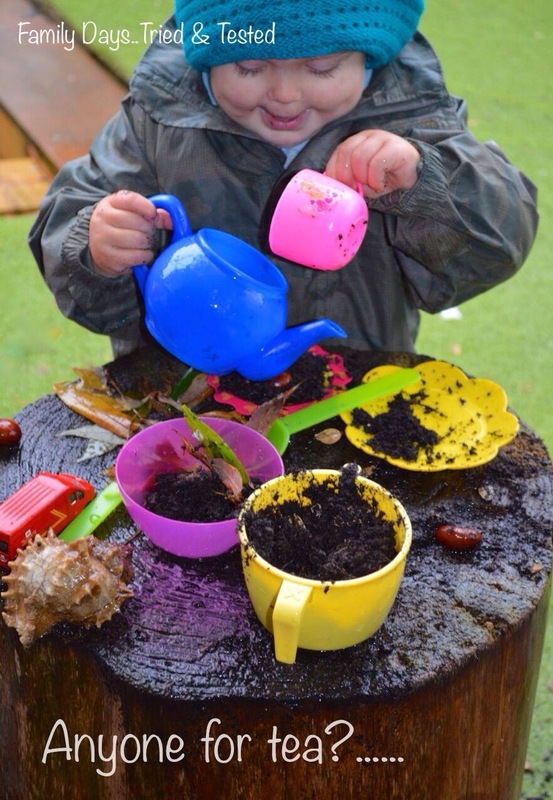 We’ve included the instructions in our Conkers, Hazelnuts and Acorns ideas. 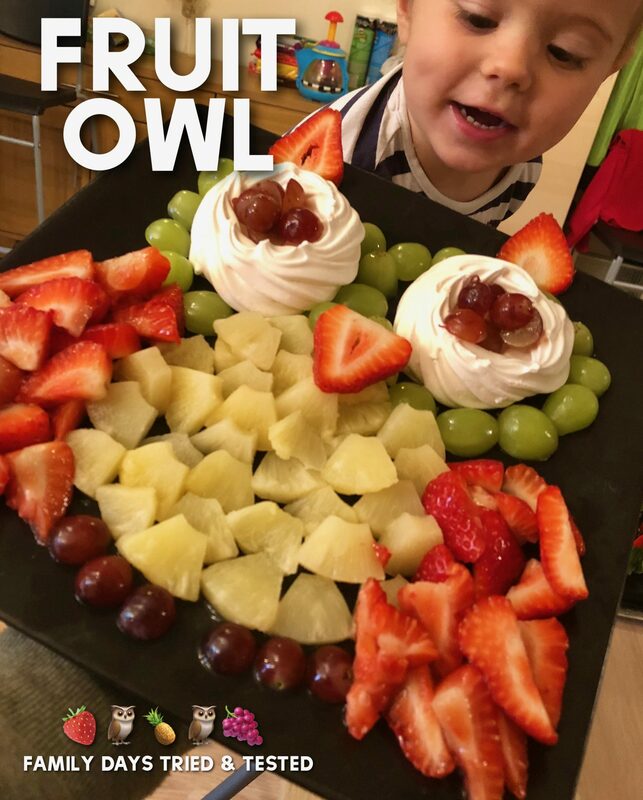 How about making fruit owls? 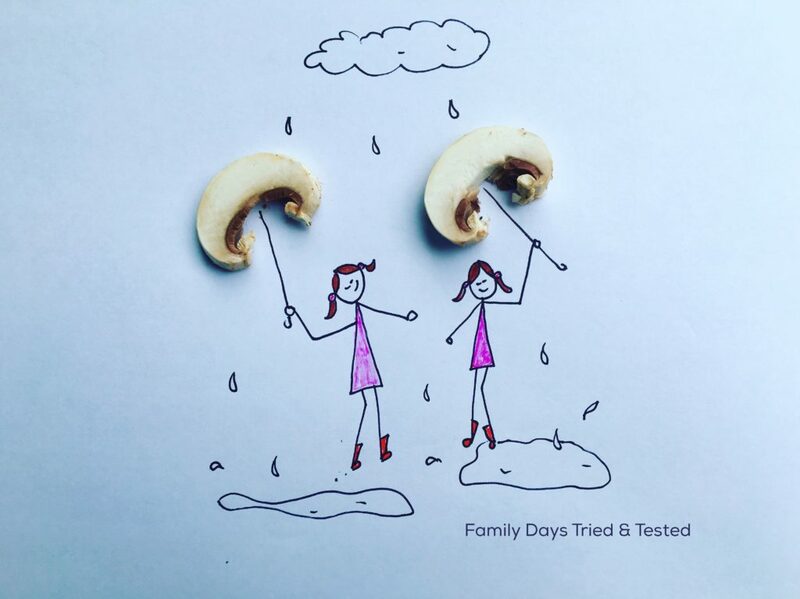 Who said food’s not fun?